Creating space for your soul to breathe so you can discern your next right thing. January comes waltzing into rooms like a boss, hair all in place, glasses pushed up on the bridge of her nose, clipboard in hand, announcing her intentions: We’ll plan the year. We’ll do it right this time. While I admire her gumption and the way she continues to show up at my doorstep year after blessed year, I also know the truth: while having a plan has helped me navigate a lot of decisions in my life, the actual results of my plan were rarely (if ever) part of the plan. Five years ago if you would have told me I would be making a full time income online by going into business with my Dad and a guy named Brian I hadn’t met yet, I would have laughed at you and called you crazy. That’s not a thing, I’d say. I don’t even know what a membership site is, I’d say. Making a full time income by running a membership site for writers was not part of my plan. Find an easier way to answer the question I got asked most often in my email inbox: How did you get your book published? I had plans to write, to connect, and to serve. But I didn’t know exactly what that would end up looking like. 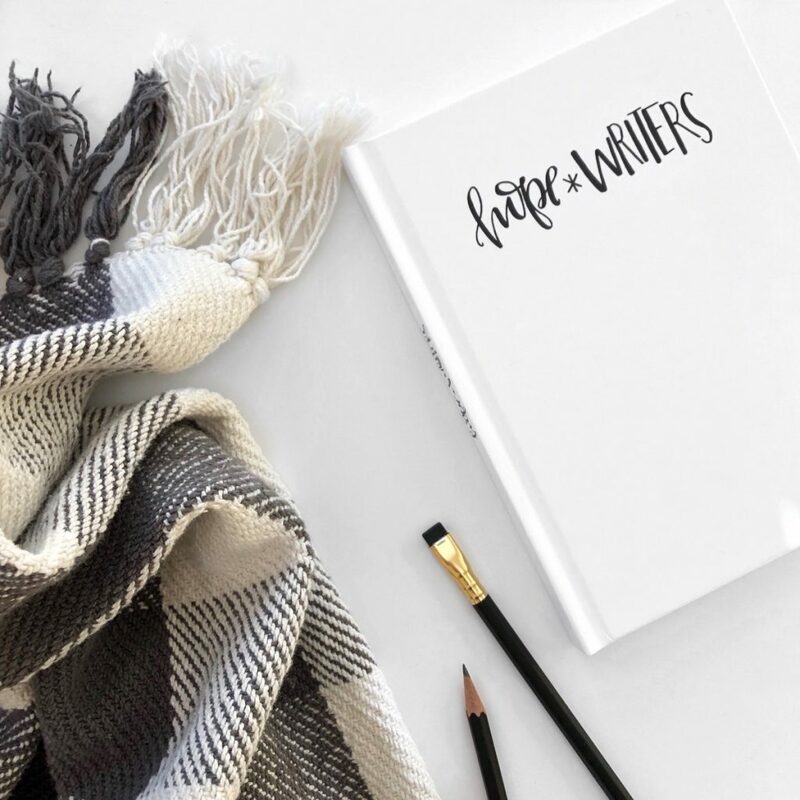 Five years later, it looks like hope*writers, our online membership community for any writer who wants to share words with a reader. We only open our doors for new members for a few days three times a year. We’re open now until Friday at midnight (1/25). Maybe writing is part of your 2019 plan but you aren’t sure what that means, what form it will take, how you’ll find the time, or if you’re any good. Take heart. There’s a lot of us out here. At hope*writers we’ve done the work for you of gathering the people, the teachers, and the resources you need. All you have to do is show up. And if writing isn’t something you’re interested in, here’s this: maybe January has been bossing you a little too hard. Tell her to calm down. Instead, start to pay attention to what makes you come alive, where the needs are that you think you can help to meet, and what questions you have that other people might have, too. I hope you’ll pay attention to what bothers you. In my experience, what’s bothering me is the best kind of catalyst to move toward hopeful change. Here’s to making plans and holding them loosely. If you’re a writer and have been paying half-attention to what we’re doing at hope*writers over the last few years but you’re on the fence, watching from the sidelines, or any other metaphor that means you’ve been holding back, I hope you’ll take a step to learn more before the doors close on Friday January 25 at midnight PST. If you want to . . .
. . . then you might be a hope*writer. Learn more and join us! For the last several years, I’ve been writing down the titles of books I finish. Then, at the end of the year, I pick 10 favorites and make a list for you here. (I’ll include the last four years at the bottom of the post) This is one of my favorite posts to write all year! I’ll list them here in no particular order. 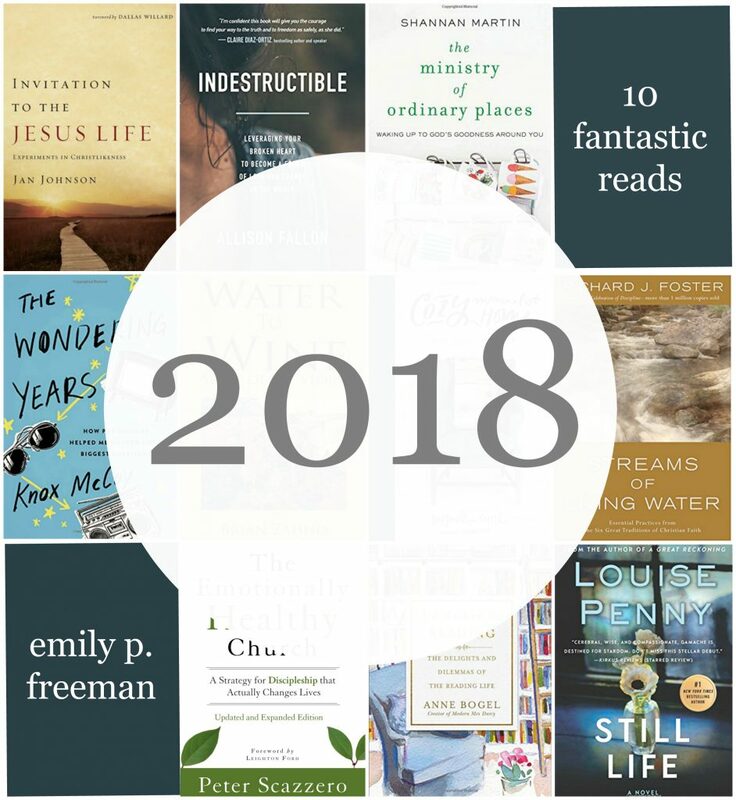 Note: This year’s list has a disproportionate amount of books written either by people I know in real life or books I was required to read for school (and loved). It’s a season of life kind of thing, where I only have time to read books that are either assigned or written by those I’m thrilled to support. But rest assured they are only on this list if they are loved! All of the “about the book” descriptions come directly from the Amazon book summaries where I am a grateful affiliate, followed by a short explanation of why I loved it. Let’s talk books! 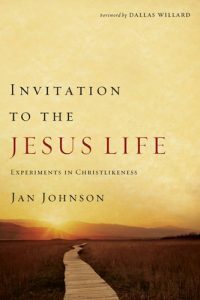 Why I loved it: Before she was my teacher, Jan was already on the fast track to becoming one of my favorite contemporary voices in spiritual formation. But now that I’ve spent time with her and had the honor of being one of her students, I’m sold. Her writing is clear, practical, and always brings me closer to our friend Jesus. Why I loved it: I read this book as a reward to myself after meeting a huge deadline and it was the perfect companion. Reading each short essay felt like unwrapping a delightful gift of warm nostalgia – a book-lovers dream book. 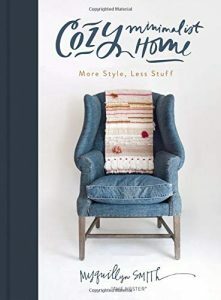 Why I loved it: I loved this book because applying the decorating principles I learned from it actually changed the way I live in our house. My sunroom went from being my least favorite room in our house to my most favorite within days after learning the cozy minimalist way. I didn’t have to take out a loan, sell my birthright, or win the lottery to make the changes. We have enough to fight against in this world. Our homes should be the last place on earth where we feel shame. I’m so grateful for this beautiful, life-giving book. Why I loved it: This was an assigned book for my course called History and Traditions of Christian Spiritual Formation and I loved every word of this thick book. The kind and compassionate way Foster approaches each of the six traditions is thorough, creative, and insightful. He handled the discussion of strengths and weaknesses of each stream with grace and respect. Why I loved it: Another book I saved as a reward for meeting a deadline was this one and it was well worth the wait. It’s hard to write funny, but Knox has this skill in spades and I am here for it. 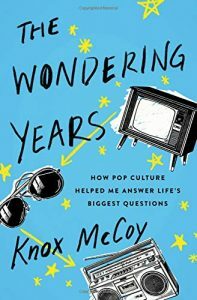 This debut book is the perfect blend of humor, thoughtful reflection, and Generation X/Millennial pop culture references. Fantastic read. Why I loved it: You know those books that you pick up and then you don’t put down until you’ve finished? That’s why I loved this book. Ally is a real life friend of mine and reading her story was an honor and a gift. If you’re looking for a well-written, heartfelt page turner, this is the book for you. Why I loved it: In a world where hope seems dim and solutions feel complicated and partisan, Shannan offers us a starting point that is as radical as it is domestic: widen your circle, hush your mouth, and pay close attention. This book is the right book for this moment in time and I simply cannot get over it. I either laughed or cried on almost every page. We need these lyrical, prophetic words now more than ever before. Why I loved it: One of the precious few fiction books I read this year, the Inspector Gamache series is one I’m so grateful to have found. It’s mystery! It’s small town! It’s cozy murder! (Is that a terrible phrase?) This is the first book of the series and I’ve only read this one and the next one. I have the whole series queued up for reading once I graduate. 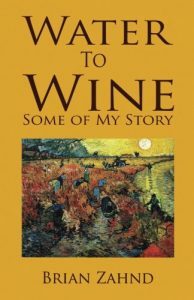 Why I loved it: Zahnd does exactly what the descriptions says – walks the reader through his quest to find a richer, deeper, fuller Christianity. Spoiler alert: he finds it. Ever since attending his Prayer School last spring, I’ve incorporated his morning prayer liturgy (included in this book) to my morning routine and it has been one of the most transformative parts of my year. About the book: “New Life Fellowship in Queens, New York, had it all: powerful teaching, dynamic ministries, an impressive growth rate, and a vision to do great works for God. Why I loved it: This was another required read for school, this time for a course I just finished called Formation Through Struggle. I loved this book first because Leighton Ford wrote the foreword and I adore everything Leighton Ford puts his name on. 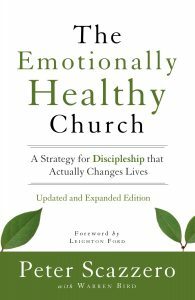 Second, after reading this book I believe it should be required for every church leader there ever was or will be. In our North American church culture, we idolize success in the form of the glittering image at the expense emotional health. This book is the antidote for our success addiction. It’s because I wrote one of my own! 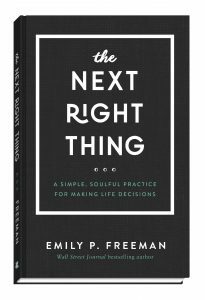 I hope you’ll add The Next Right Thing to your wishlist for 2019 or, even better, give your future self a gift and pre-order a copy today. If the price drops between now and release day on April 2, you’ll be charged the lowest price. There you have it! My favorite books I read (and wrote) in 2018. 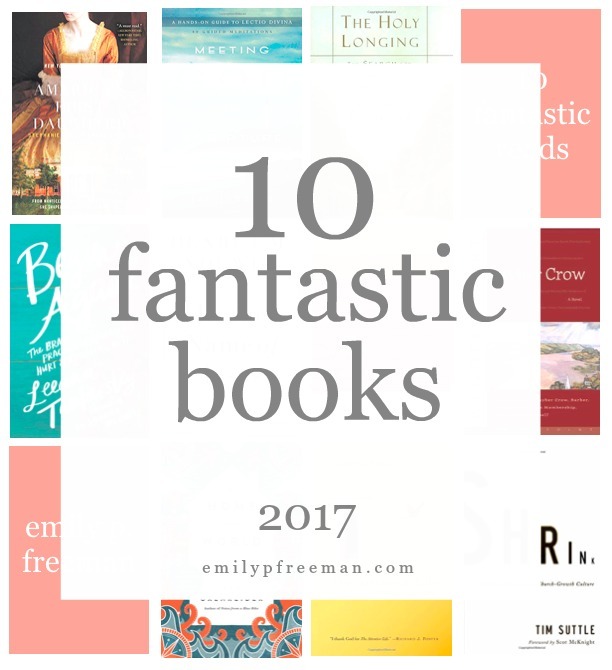 As you make your own lists of books to read in 2019, perhaps you’ll add a few of my favorites into the mix. To give you more to choose from, I’ll include my 10 favorite books from the past four years below. 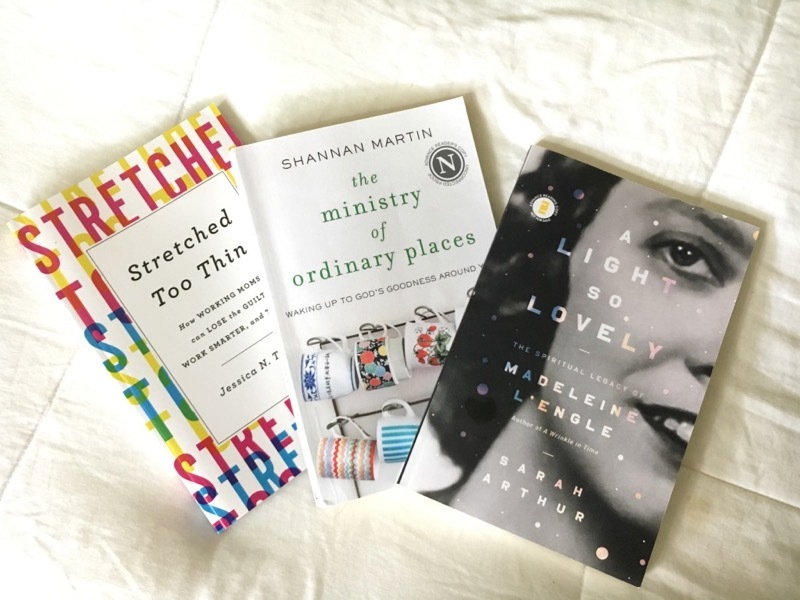 If you would like to receive a monthly list of the books I’m reading, enter your name below and you’ll receive my most recent letter on the last day of every month. Happy reading! I send out a secret letter to my readers one time a month. Want to get it? I’m all about helping you create space for your soul to breathe, starting with your inbox. Over 33,000 people trust me with their email address. I will never send spam or photos of bare feet. You have my word on this. Today I’m glad to host author Ashley Hales in this space. 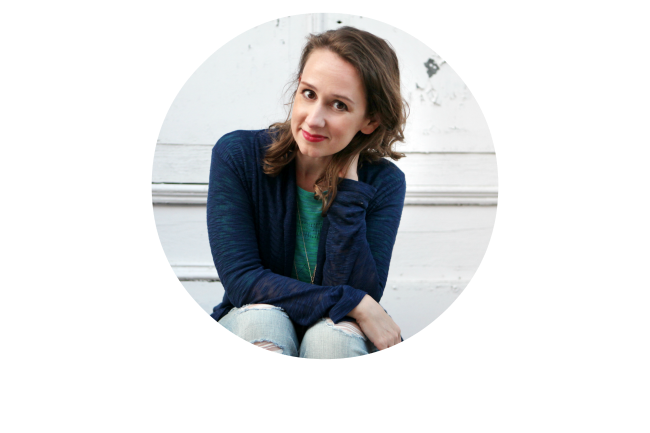 She writes about home, belonging, and how to find God, even in the tract homes of the suburbs in her book, Finding Holy in the Suburbs. Finding the sacred in the midst of everyday things may not be a new conversation, but we always need new voices telling us old things. I wrote the foreward for this one and can say with confidence that Ashley Hales is one of those important new voices and I’m thrilled to share her words with you here today. I rush through my bedroom: scooping up stray bobby bins, putting away the earrings I’ve left on my dresser, scowling at the rogue sandal who’s mate I’ve already given away but haven’t bothered to do anything about this one that turned up unexpectedly. The laundry is folded but stacked on top of drawers. The odds and ends I stuck in a brown paper grocery sack still rests at the bottom of my bed. Suddenly, the mess has become too much. It must be tamed. Perhaps if my bedroom is picked up, my soul will quiet down too. I rearrange the tottering pile of books on my bedside table. I think: It would be nice to slip into bed with one of the books, shirking my mothering and writing duties for the day. I’d ease myself into a world of words, like slipping my sore body into a hot bath. And yet, here I am — the rush and hurry leading the way. I stop to look out the window of my suburban bedroom. The tract home roofs pile up, I look to the hills and see a tinge of color in the trees. 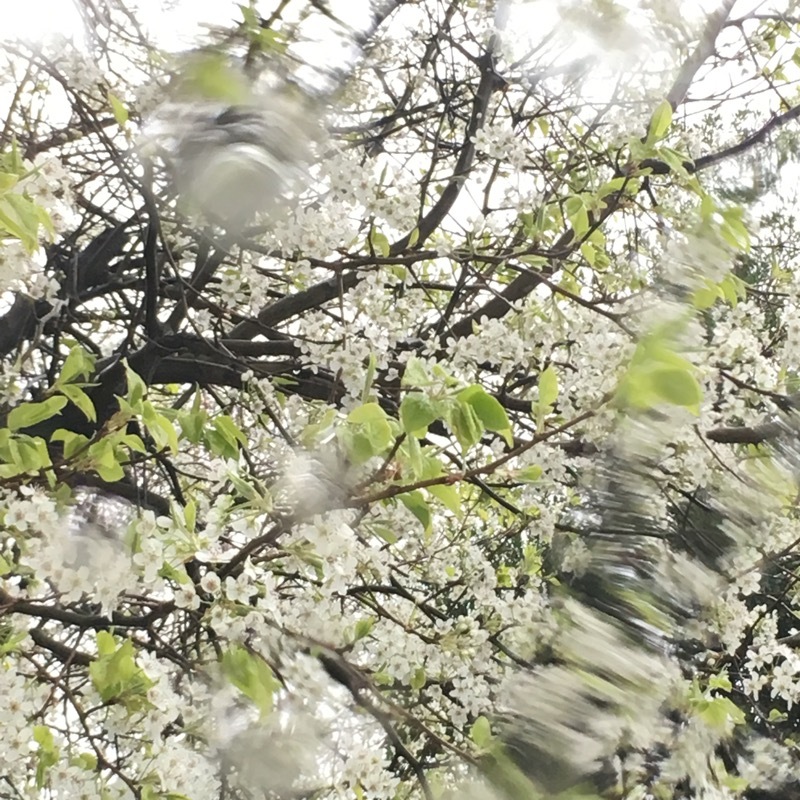 My arms full with stuff — I ache, then, for the changing seasons of Salt Lake City — how I’d lay down on the grass of our front yard and watch the yellow trees sway overhead, brilliant against blue sky. I loved watching how a particular plant would change season to season, framed as it was from our bedroom window. 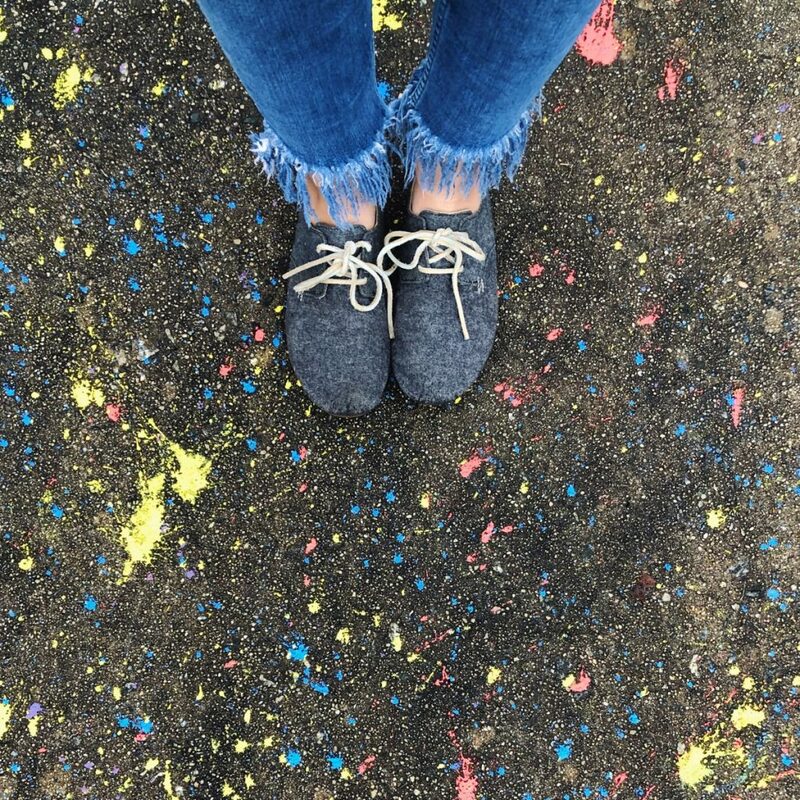 I remember our city walks, the hiking in gloriously golden aspens in fall, the bundling up and the skiing in winter, the way the city awoke each spring and how people said hello on their porches on hot summer nights. But I am here now, my arms piled of books and clothes to put away in my suburban bedroom. Like practicing scales, I rehearse a familiar story. It’s easy to wish for a different time, a different landscape. That somehow “over there” or “back then” or “when I’m…” will satisfy all our longings for home and belonging. It’s tempting to idealize one bite-sized piece of geography — city, suburb, countryside, small town — and not learn how to love a place. Will I be able to take this long slow walk in the same direction of belonging? I look all of it in the eye. I let myself fall into nostalgia and I repeat suburban tropes — that suburbanites are shallow or only care about their safety. Yet, upon second glance, I see how I, too, will rifle through the dollar spot at Target to try to be seen. I understand how granite countertops might make us feel like we belong. I understand this search for beauty and how I want it to be as easy as fitting into a smaller pair of jeans. 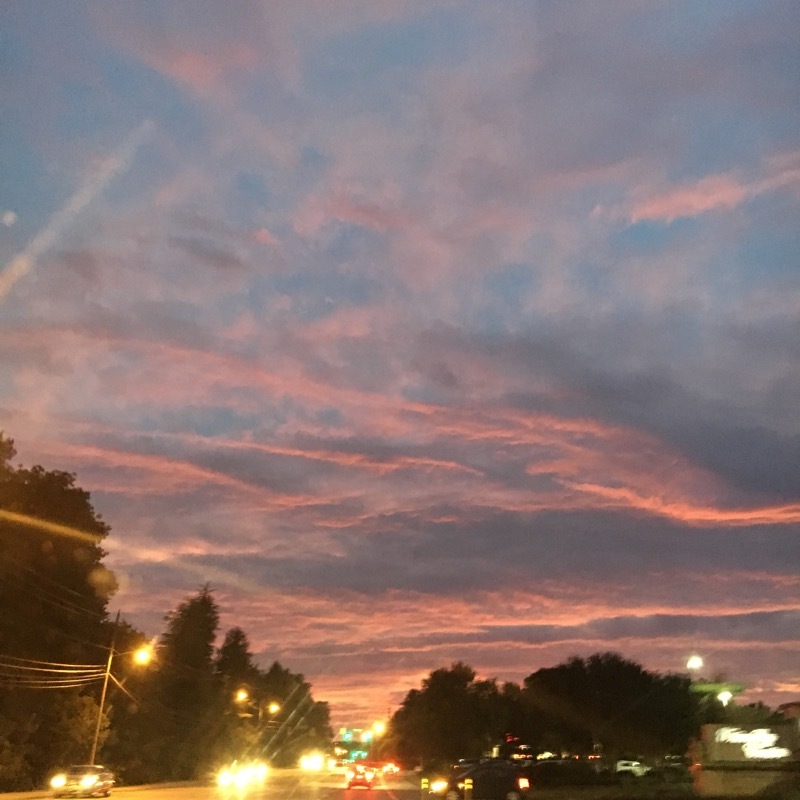 Yet, I know the God of the cosmos welcomes us into a belonging that isn’t contingent on the size of our home, our bank account, or our dress size. It is this spaciousness of God (which, as C. S. Lewis wrote, is bigger on the inside than on the outside) where we will find home. And yet. There is still the ache of all the lives we have not lived. There is the ache of goodbye. And there is the ache of unknowing. Most of all, perhaps, there is the tasks of the day — the washing up, the picking up of bobby pins and laundry piles, the walking to and from school — that orient not only our bodies, but our hearts. I know places form our loves. How do I — how do you — begin to really belong to our places? 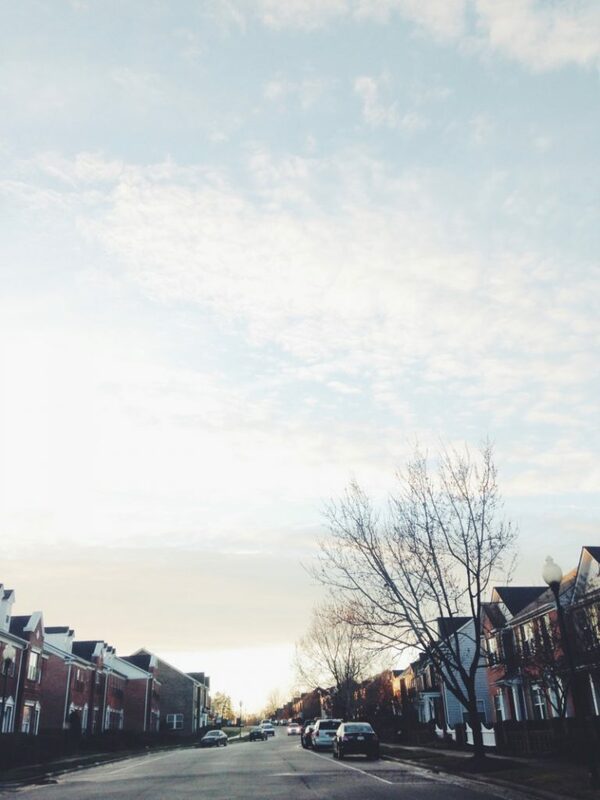 How might we love our particular streets even while seeing the ways we’re unconsciously turned in on ourselves? How do we learn to be open, broken, and given for our places? Where might we feel free to drop the weight of pretending to have it all securely gathered up in our arms? We embrace gentle and slow disciplines of staying put and starting small. So on a day when my soul is as frenzied as my bedroom floor, I choose to learn how to belong here. I walk my walking paths. My husband and I clutch coffee mugs and walk our children to school. We meet neighbors. We welcome people into our local church. We show up. I look at all the quirks of my suburban setting in the eye. I name the beauty and the brokenness. Now, this is my one precious spot of earth I am called to be poured out for. This cul-de-sac is where I will see the glory of God. Not in the golden aspens or green mountain glory; no. Yet, I will choose to find God in the glory of this ordinary making of dinner, in our soccer schedules, in the grace of another day, in people’s faces who are broken and beautiful images of the God who wrapped himself in flesh to be near us. We start small and we stay put. We do the things we always do — we wake, we do our good work, we make the coffee, we pray to the God who sees, the God who embraces and clothes our failures and preening. Here, in the middle of a suburban tract home, I’ve come to the end of myself and it is very good. I put the bobby pins in their drawer, I name the loss and yet pray for the grace to live well right here. 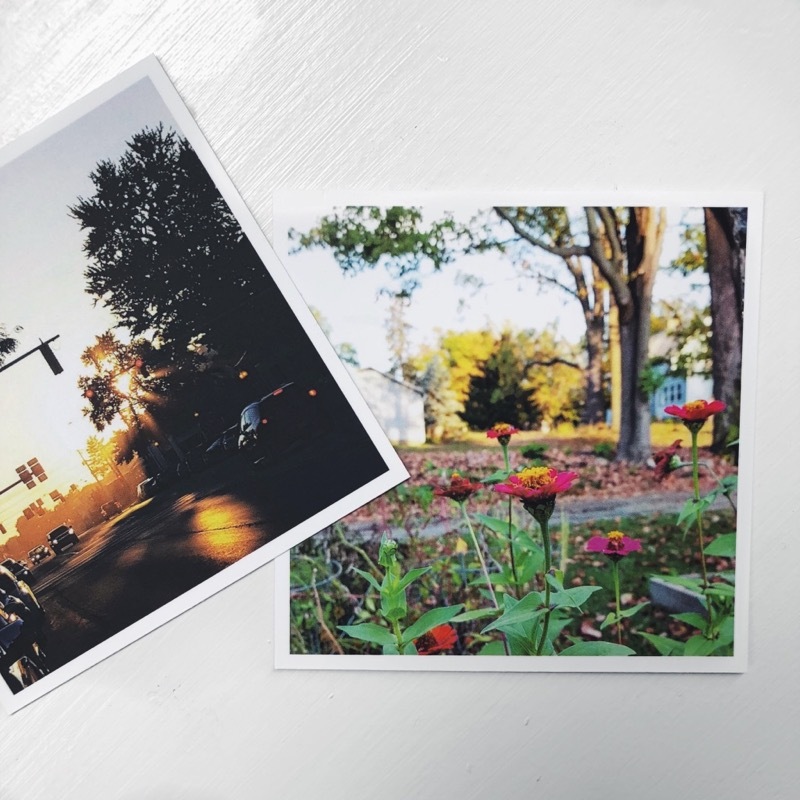 Might finding holy in the suburbs start right here in the ordinary, and lead into a spaciousness of body and soul that’s bigger on the inside than on the outside? I straighten the teetering piles and pray it be so. Ashley Hales holds a PhD in English from the University of Edinburgh, Scotland. 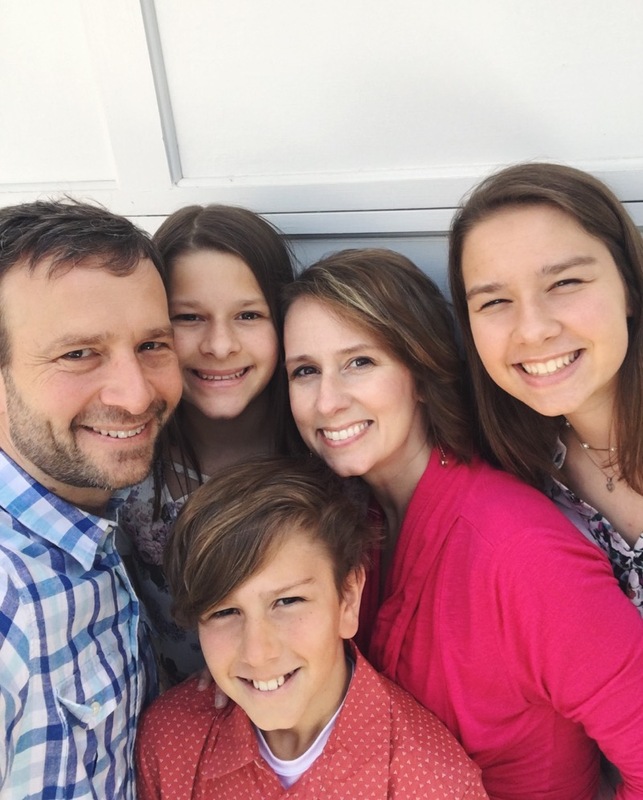 She’s a writer, speaker, the wife to a church planter in the southern California suburbs and mother to four. 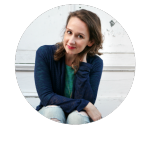 Her writing has been featured in such places as The Gospel Coalition, Books & Culture, and Christianity Today. 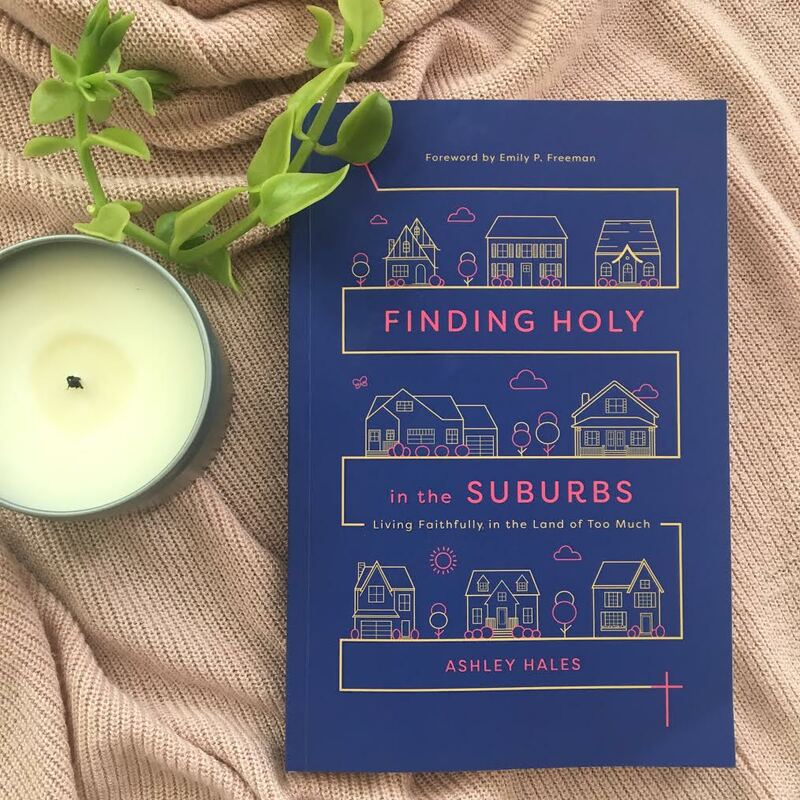 Her first book is Finding Holy in the Suburbs: Living Faithfully in the Land of Too Much (IVP). Connect with Ashley at aahales.com or on social media at @aahales. When John brings a bouquet home from the grocery store, the routine is almost always the same. He takes those long stems still gathered in v-shaped plastic and sticks them in a drinking glass filled one inch with water, still held together with a twice-wrapped rubber band. When I see this tightly wound love offering displayed in my kitchen, I know it’s my turn. Cut the rubber band. Remove the plastic. Separate the stems. Throw out any baby’s breath (ew). Find the right container. Trim the stems. Arrange. Display. Enjoy. Last year on Valentines Day, it was this same routine, long stems in a drinking glass left for me to cut and arrange. Those flowers died a week or so later but the greenery hung on. And on and on. So long that now it’s October and just this week, the greenery from my Valentines Day flowers finally started to turn to yellow. These stems have no business still being here. They weren’t meant to last through February, much less see all of spring, live on through summer, and now all the way into fall. It’s so regular but it’s also kind of blowing my mind. I realize that, in recent years especially in the corners of the Internet around which I run, it’s become the “in” thing to see the beauty in the everyday things: to notice, to slow, to pay close attention. I know some people roll their eyes about all that, make cynical Saturday Night Live-like sketches in their heads about the gift to be found in the orb of a bubble of dish soap. Personally? I love everything about this movement to notice, to see, to finally pay attention. I believe this is a step in the right direction and I am here for it in every single way. How can we possibly live our lives grateful or content if we don’t first notice the life we are actually living? How can we begin to move gracefully toward the people around us without stomping all over their nuance if we don’t first take the time to listen and see? This is step one. This is breathing in and out, noticing the world spinning around us, noticing ourselves as we spin. But this is only step one. When it comes to step two and beyond, things can get fuzzy at best, heavy and hopeless at worst. How can noticing the moments we’re living begin to change anything in this broken open world? This is where I begin to look for teachers, people for whom paying attention is making a difference, mentors who tell me how paying attention is changing the world. Maybe our country is divided more than ever or maybe it’s always been this way and we’re finally talking about it I don’t know. But here’s what I do know: conversations are hard and solutions can feel complicated and that can cause us all to numb out, shut it down, and dive deep into distraction. And this is where step one can lead us into step two if we’re willing. In Shannan Martin, I have found my teacher. You will not see her face on the side of a tour bus. You will not see her on Oprah’s Super Soul Sunday (at least, not yet). But if you’re looking for a step beyond paying attention, I hope you’ll find her book. 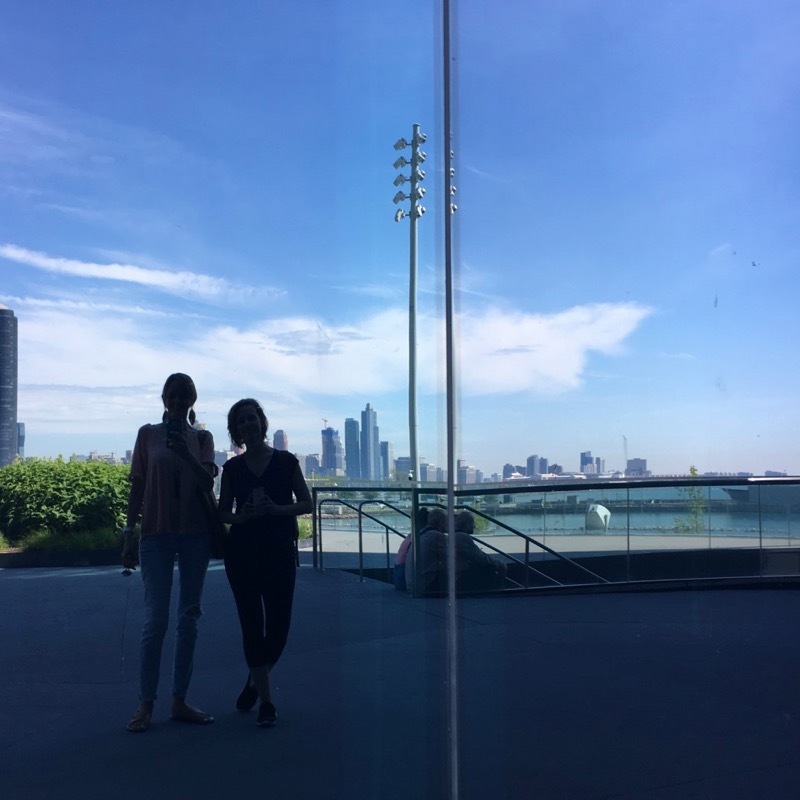 Because in a world where hope seems dim and solutions feel complicated and partisan, Shannan offers us a starting point that is as radical as it is domestic: widen your circle, hush your mouth, and lock eyes with the world you’re in. And this is where I tell you how I wish, just for today, I had never met Shannan Martin. Because she has written a book that is, in my opinion, one of the best books of 2018, and I worry you will think because she is my friend, that somehow it discounts my opinion of her writing, her message, and her brilliance. Here’s what you need to know: My love for Shannan’s writing came first. I read her before I knew her, I followed her before I met her, and I was influenced by her before we ever stood side-by-side and I realized how tall she is in real life. She often says she found her voice in the country and her story in the city and I was there for all of it. 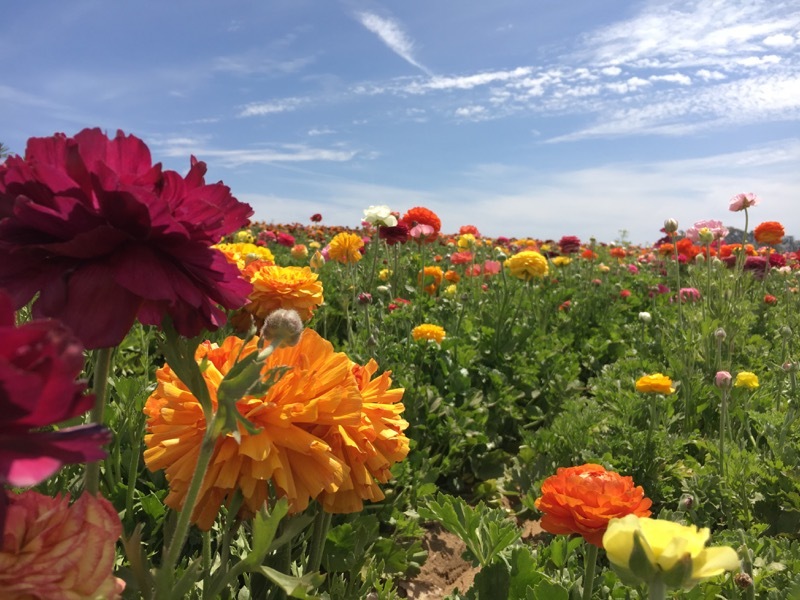 I read as a stranger from hundreds of miles away when she wrote from her flower patch in Indiana and I fell, head over heels, with the way she could turn a phrase. But slowly, over time, the gospel of Jesus turned her upside down and her writing changed as she did – the wells deeper, the voice richer, the courage more pronounced. 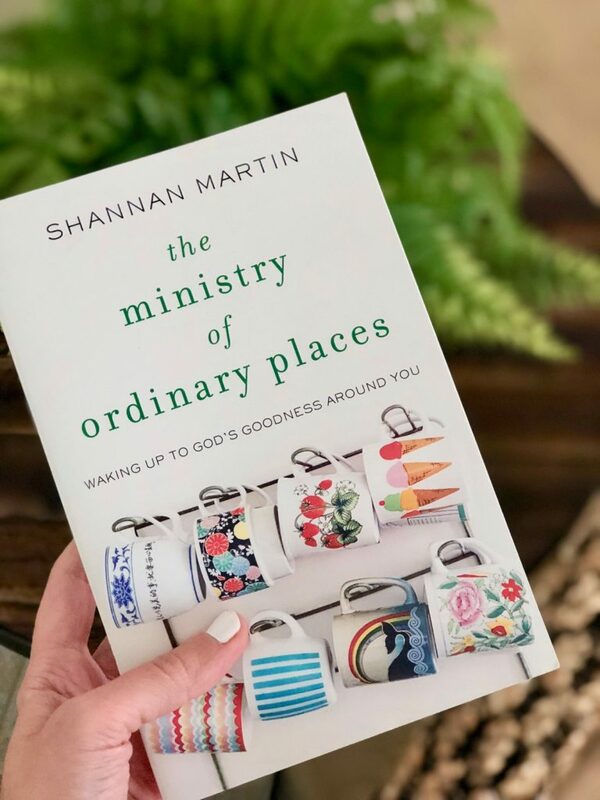 Her second book, The Ministry of Ordinary Places, releases into the world today and I have a hunch that if Shannan was a stranger to me, maybe you would trust me more when I tell you how much I loved this book. This is the right book for this moment in time and I simply cannot get over it. I either laughed or cried on almost every page. We need these lyrical, prophetic words now more than ever before. Because it’s one thing to see the tightly wound love offering in one inch of water. But it’s another thing altogether to engage it, to cut the rubber band, remove the plastic, separate the stems. Shannan shows us how. 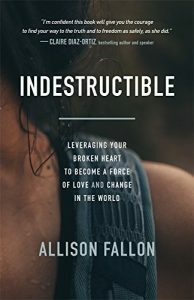 This book taught me how to see, how to stay, and how to get over myself. 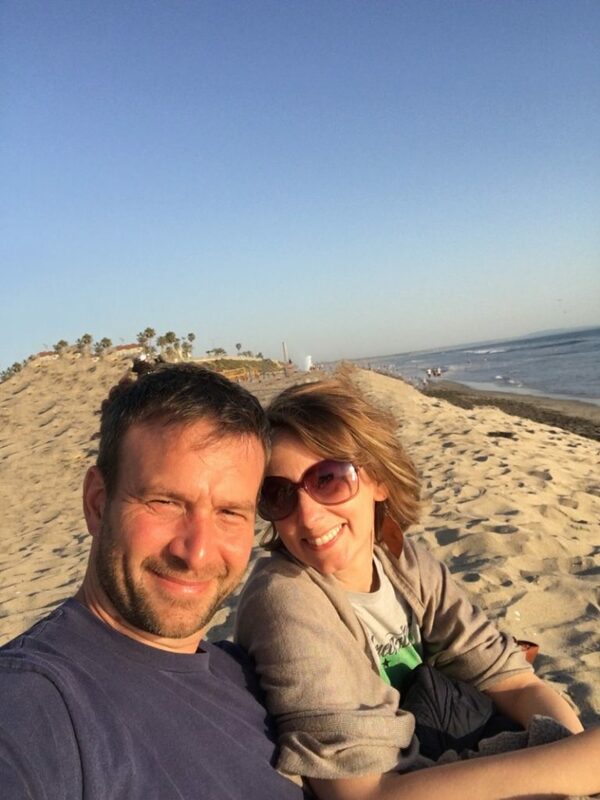 I’m grateful to Shannan for living her one life well and writing it all down. 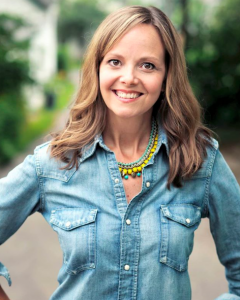 Shannan Martin is a speaker and writer who found her voice in the country and her story in the city. She and her jail-chaplain husband, Cory, have four funny children who came to them across oceans and rivers. They enjoy neighborhood life in Goshen, Indiana, a place they fall more in love with every year. Get your copy of The Ministry of Ordinary Places right here today. I’m honored to share this post in glad partnership with Thomas Nelson. I’ve got 20 books here for you – some I’ve read, some I’m reading, some I hope to read, and some I have to read. Let’s get straight to it, shall we? The books I link to here are affiliate links so if you grab one through my link, I’ll receive a small percentage at no extra cost to you. These are things I have to tell you. Now on to the sad tale of this first book. We’ll start with the saddest book photo of all: the book that wasn’t meant to be (yet). 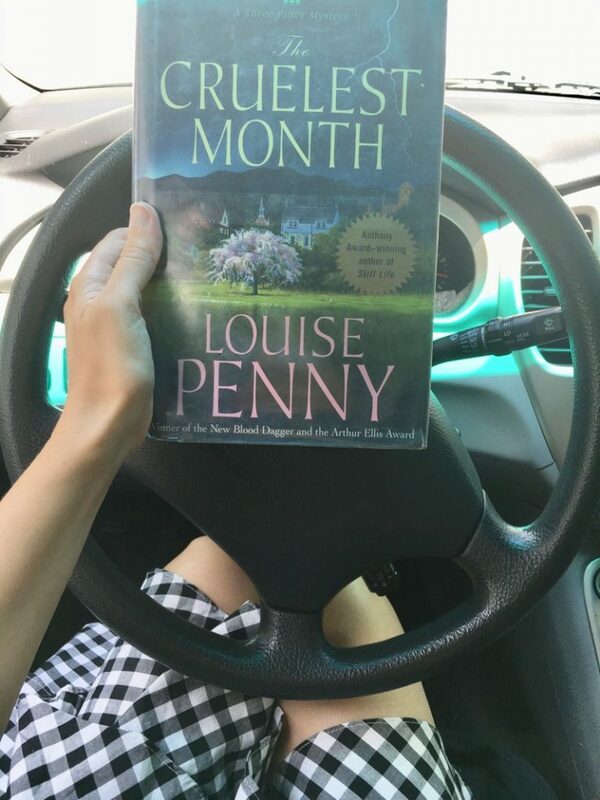 I took this photo of The Cruelest Month by Louise Penny in my driveway, right before I drove to the library to return it. I checked it out in April, renewed it in May, and finally returned it in late June. I never had a chance to read it. 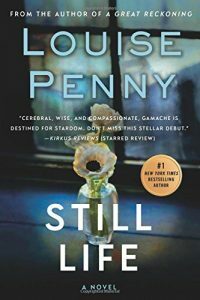 It’s because I had 10 weeks to read these books for school and that leaves no room for Louise Penny. Seriously, I am thrilled to be learning this stuff but I do miss the extra space I used to have for fiction reading. 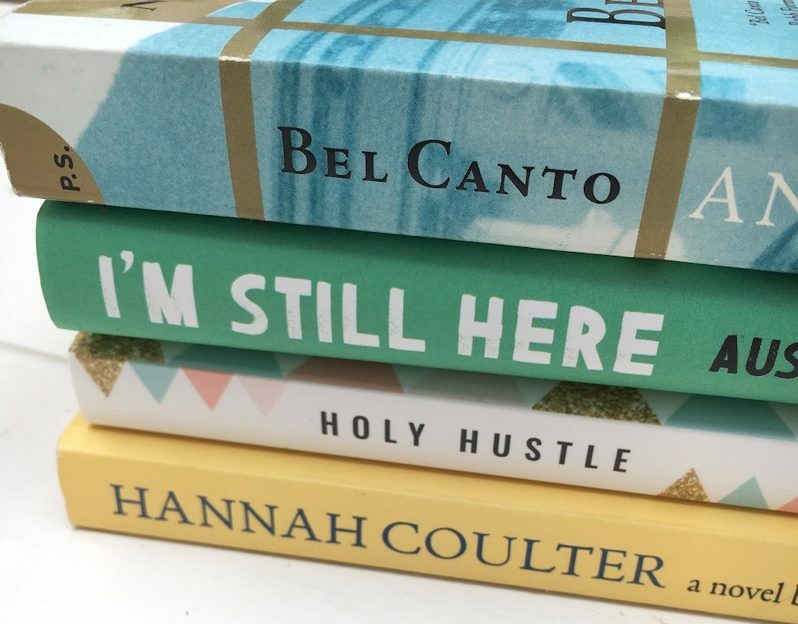 But do you see that stack of brilliant books?! Some have asked if I could list the books I’m reading for my Master’s program. This is only the summer stack, but here are the details in case you want to check them out for yourself. So here are the details of the books pictured above. 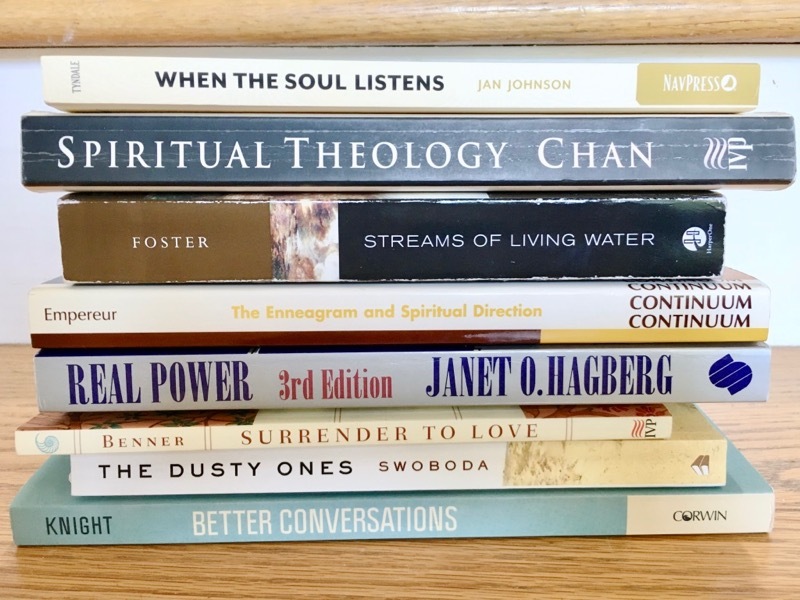 For those interested, these books are for two classes: Intro to Spiritual Direction and History and Traditions of Christian Spiritual Formation. In spite of myself, when visiting the Goodwill, I still manage to wander past the color coded t-shirts and four aisles of colorful, misfit glassware and end up in front of the dusty shelves, searching for a good find, imaging my future self with time to spare and a book in hand. A Year by the Sea: Thoughts of an Unfinished Woman by Joan Anderson — I’m obsessed with books about the sea lately. 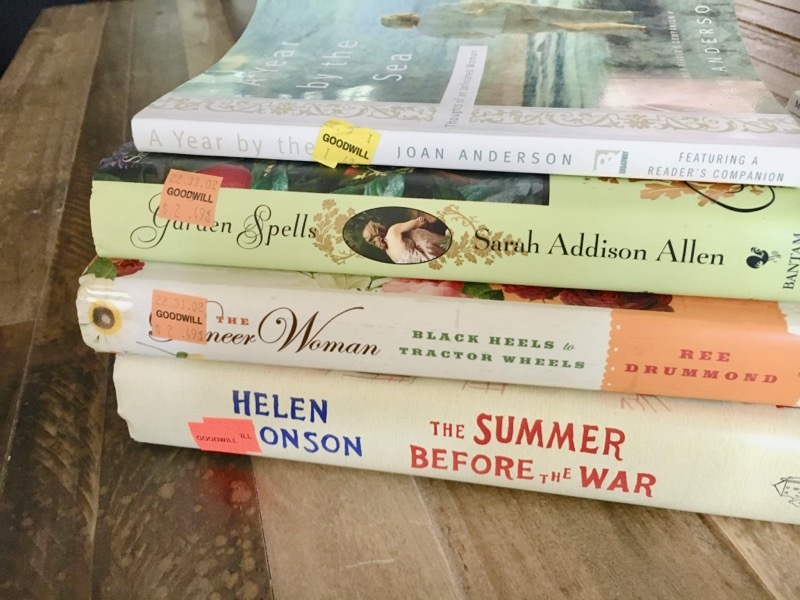 Garden Spells by Sarah Addison Allen — Love this author and I thought I had read this one but then when I read the back cover (something I usually try to avoid on fiction books – they give away too much!) I realized maybe I haven’t read it after all. Black Heels to Tractor Wheels: A Love Story by Ree Drummond — Remember when Ree told this whole story via small installments on her blog?! It was so exciting to see what was coming next. I never read the book that resulted from that blog series. Hence, this purchase. The Summer Before the War: A Novel by Helen Simonson — A classic case of I think I’ve heard good things about this book. I’ve at least seen the cover everywhere. I think I’ll get it just incase. As it turns out, the place I’ve seen the cover is on my bookshelf. In my house. In the paperback version. Oh well. These books aren’t released yet, but you can pre-order all of them now. Of these, I’ve read The Ministry of Ordinary Places so far and look forward to the other two! 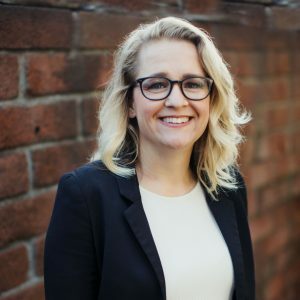 Stretched Too Thin: How Working Moms Can Lose the Guilt, Work Smarter, and Thrive by Jessica Turner — One of the smartest, most efficient women I know in real life. Releases September 18, 2018. 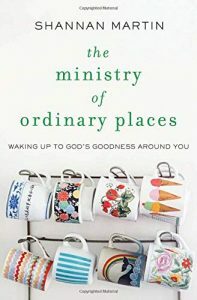 The Ministry of Ordinary Places: Waking up to God’s Goodness Around You by Shannan Martin — You will hear me say more words about this one soon – on how to be a neighbor and love those whom God has brought near to us. Suh. Gud. Releases October 9, 2018. A Light So Lovely: The Spiritual Legacy of Madeleine L’Engle, Author of A Wrinkle In Time by Sarah Arthur — First, this cover is gorgeous and second, it’s all about Madeleine so naturally I love it already. And we’re hosting the author as a teacher inside hope*writers in late August. I can’t wait! Releases August 7, 2018. Bel Canto by Ann Patchett — I’ve never read any of Ann Patchett’s fiction. I think I’ll start with this one next summer. Next summer! I’m Still Here: Black Dignity in a World Made for Whiteness by Austin Channing Brown – I probably won’t wait until after graduation for this one. I may just read it one of these weekends because I cheated and read the first few pages and had to pry it out of my own hands to put it down. 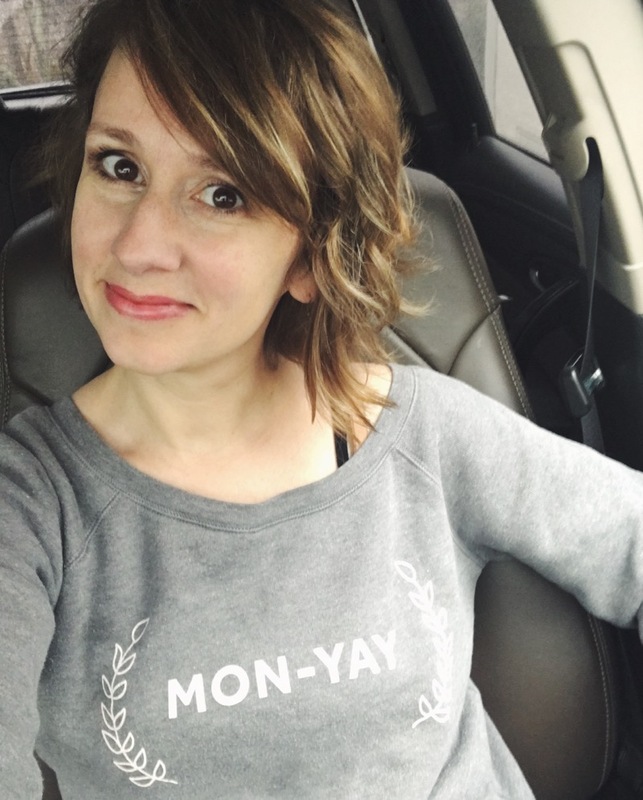 Holy Hustle: Embracing a Work-Hard, Rest-Well Life by Crystal Stine – This is one of those books I’ve been looking forward to for a while as Crystal is a friend who is passionate about this sacred work of holy hustle, two words that don’t often go together. Can’t wait to see how she unpacks them for us. 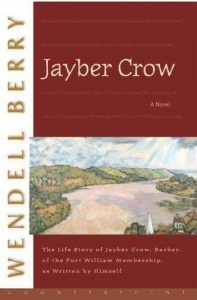 Hannah Coulter by Wendell Berry – After I finished Jayber Crow, I’ve wanted to read Hannah Coulter. In fact, many people tole me they started with Hannah first. I found this copy at a church book sale and it made my whole week. And a bonus book I have to mention because I’m so excited about it is one I’ve already read, lived, and endorsed. It’s my sister’s newest Cozy Minimalist Home: More Style, Less Stuff. This book helped me understand not only why certain things in my house didn’t look right but how to fix them, too – all with more style and less stuff. You can pre-order it now and it releases October 23, 2018. If you see this post on Amazon Prime Day (7/16) you can use the code PRIMEBOOKS18 for $5 off a 20 dollar book order. 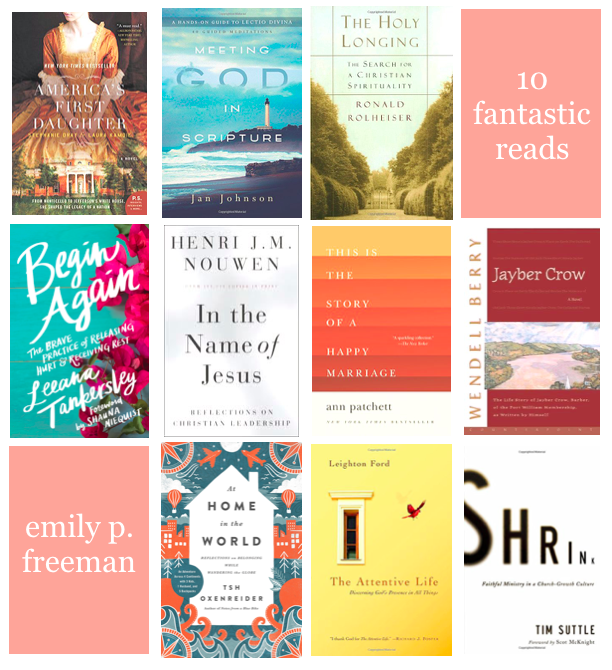 There you have it, the 20 books on my shelf this summer. I mean, I have more than 20 books on my actual shelves, but these are the ones most recently read, found and/or planned for. 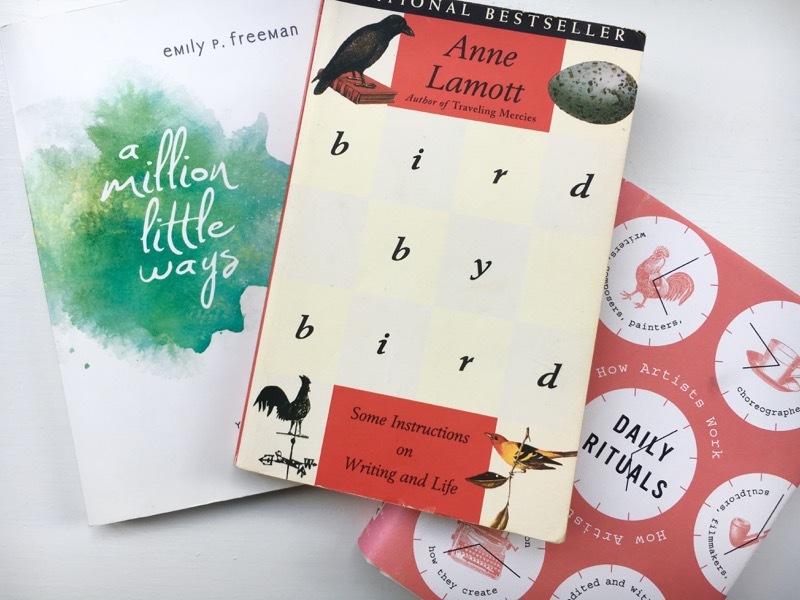 Want to see more book posts? I'm Emily and I'm glad you're here! 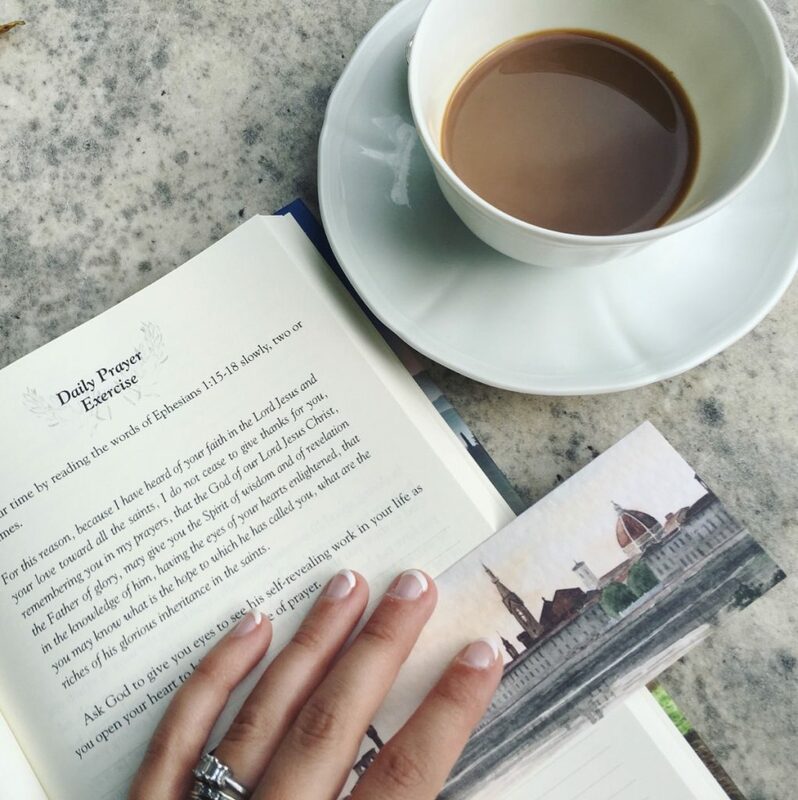 To receive gentle reminders to pay attention to your life, sign up here for my monthly letter, where you'll get first-word news, books I'm reading now, my favorite things of the month list, and a secret post you won't find anywhere else. If you need some room for your soul to breathe, I'm here to help. Some writers write words that come off the page like two hands cupping your face, inviting you to slow, to focus, and to simply listen. Just slow and listen to this. Hilary Yancey is one of those writers and she finally wrote a whole book. Here is a taste of her writing and then you can go put on your tennis shoes and run out to get her book. Or just go to Amazon Prime because you’re not an animal. We were late to our eighteen-week ultrasound. Preston surprised me with a lunch date at a farm-to-table restaurant just outside Waco. I had been picking at my salad throughout, then picking at my dessert. Ever since the positive pregnancy test, ever since the scribbled note of “large baby for gestational age,” I had lived on a live wire of worry. This ultrasound, which was the reason for the lunch, the reason for the celebrating, was full of fear. An ultrasound could declare that things hadn’t gone according to plan or it could bless us with uneventful normalcy, with everything as expected. I had worried for days that it would be the first, and as the ultrasound approached, I became convinced that something was wrong, that we would learn something terrible that Friday afternoon. I sat sullenly at our celebration lunch, listlessly moving the lettuce around on my plate with my fork. Preston tried several times to ask me why I didn’t seem very peaceful or excited. He tried to remind me that we were seeing our child for the first time. Instead of answering his question, I picked a fight with him about the fact that we would be late right as the waitress brought over our check. It was raining while we drove back, and I wasn’t dressed for it. My thin cotton skirt was covered in wet splotches. I pressed my hands against it, feeling my gooseflesh beneath. We arrived and I was called back fairly quickly. Preston stood up to join me, but the nurse told him to wait, that they would “call Dad back later.” I followed the nurse back silently, holding my wallet in my hands because my skirt didn’t have any pockets. Once I was on the table, the technician started to swirl the transducer probe over my belly only to declare irritably that she couldn’t see much because my bladder was too full, and gestured to a bathroom across the narrow hallway. I stood up and walked meekly to the bathroom. I was mad that I had been late, mad that I had tried so hard to drink the eight necessary glasses of water a day only to be told it was wrong. I am the kind of person who, upon deciding that she has just done the entire day wrong, cannot be persuaded otherwise. 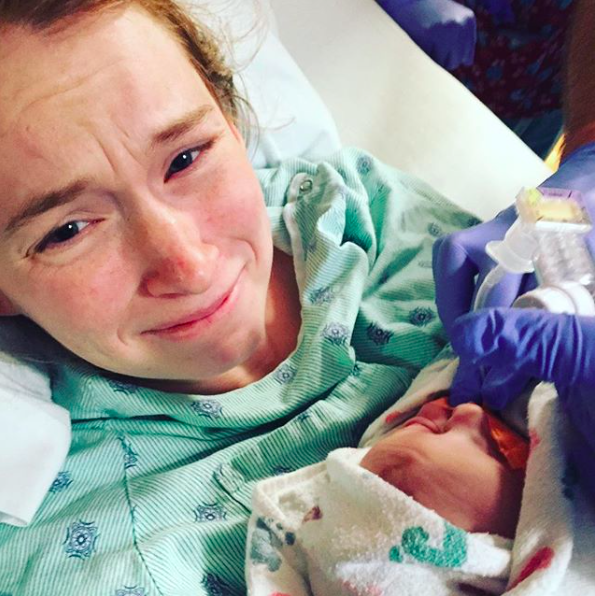 I had failed the morning; I had failed lunch with my husband; I had failed the ultrasound; I had failed this baby. I washed my hands and slunk back into the room. The exam was completely silent. The technician commented only once, to express frustration that the baby moved so much that she was having trouble getting good pictures of the face. She sighed multiple times, tracing the same circles around and around, shifting in her chair. When she said that the baby was so active, I tried to smile. “That’s good, right?” She said nothing. I continued to stare at the green and cream border on the walls. There was a large calendar just opposite the exam table, turned to the month of April. It was a calendar with platitudes written across a beautiful sunrise background, things like “Live, laugh, love” and “Every act of kindness grows the spirit and strengthens the soul,” things people put up on refurbished shiplap in their homes. I read the words on the April graphic of a generic sunrise, or a sweetly blooming daffodil, and swallowed too loudly. I wondered if she could hear my heart beating against my bones. I wondered if she was judging me, my silence, my lack of questions or exclamations or rambunctious joy. I wondered if she had even registered my face before hunting for my child’s. I know it’s a cliff-hanger, I know. 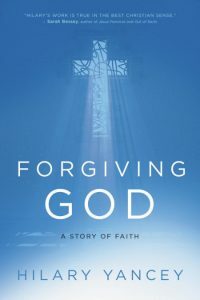 But this is an actual excerpt from Forgiving God: A Story of Faith and you need to get it right this minute so you can read her story. 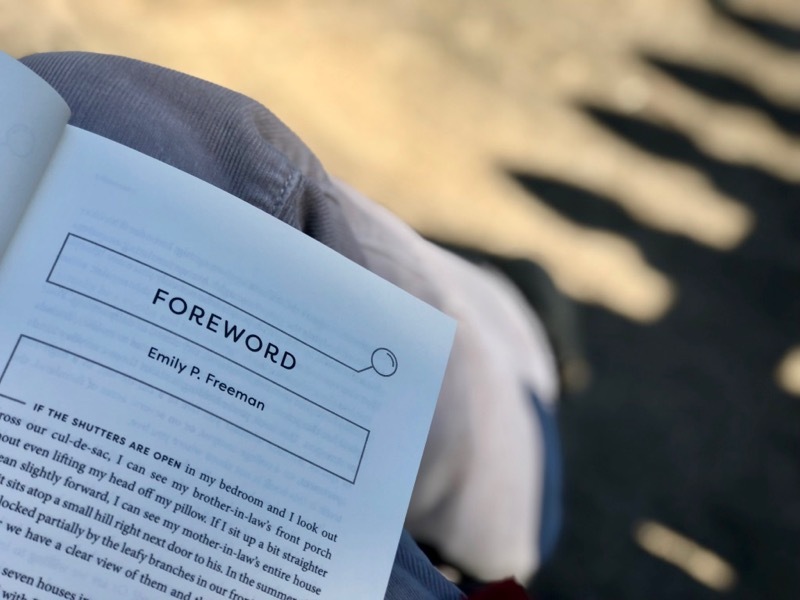 Hilary Yancey loves good words, good questions, and sunny afternoons sitting on her front porch with a strong cup of tea. She and her husband, Preston, and their two children, Jack and Junia, live in Waco, Texas where Hilary is completing her Ph.D. in philosophy at Baylor University. 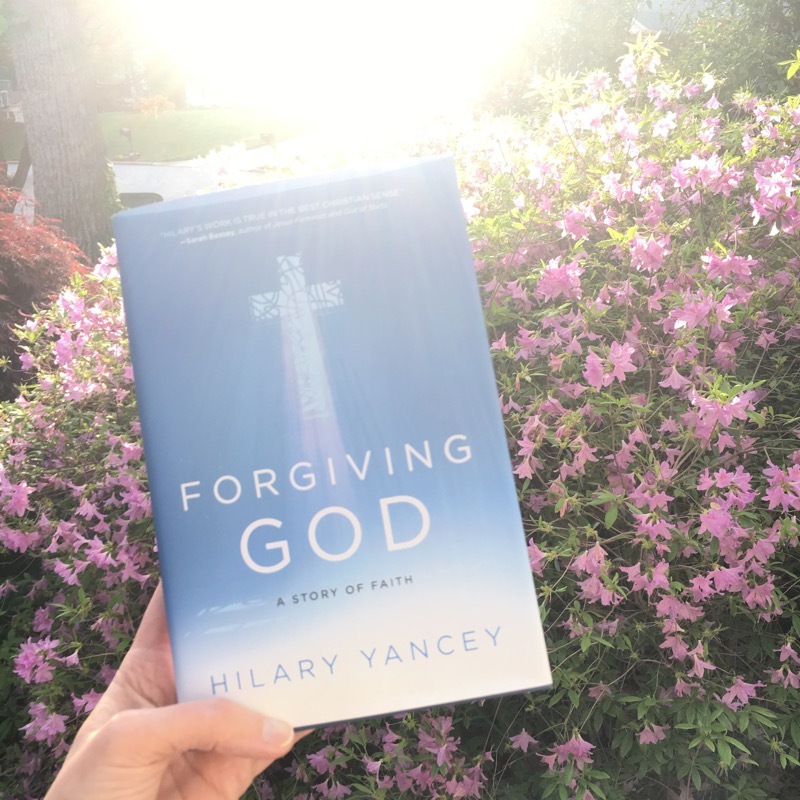 Her first book, Forgiving God: A Story of Faith is available wherever fine books are sold (Amazon, Barnes & Noble) – and you can hear Hilary read the audiobook, too! P.S. After her son was born, Hilary posted this photo on her Instagram. I have never forgotten the stunning and compelling novel that her beautiful face expresses without saying a word. It is exquisite and sacred and I will never forget it. This morning I woke up and was compelled to write a blog post like it’s 2009. But maybe that’s not quite right. I’m convinced in the power of letting things go, of hushing up for a while, and giving not only our souls room to breathe, but our practices, too. 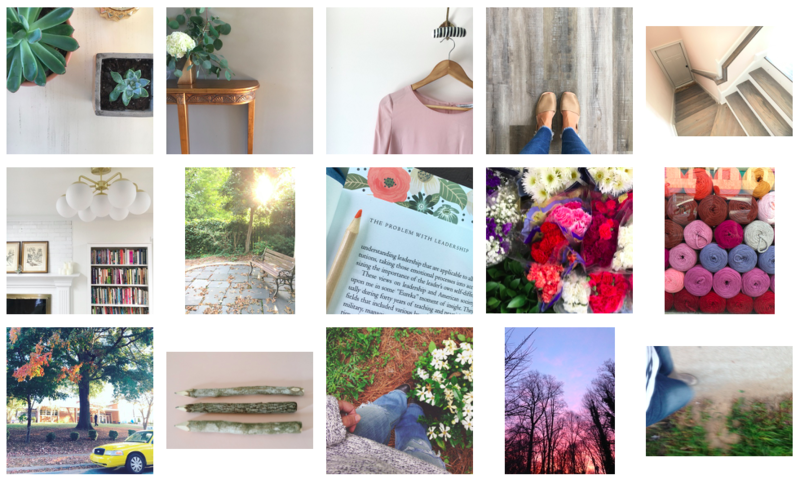 I haven’t written in a free-form kind of way in this space for a while, but there’s no need to go back in time to invite back into our lives what we loved about the past. We can do it now, in whatever way we like. We can do it in 2018, too. I can’t fully account for the compulsion I woke up with to write here. 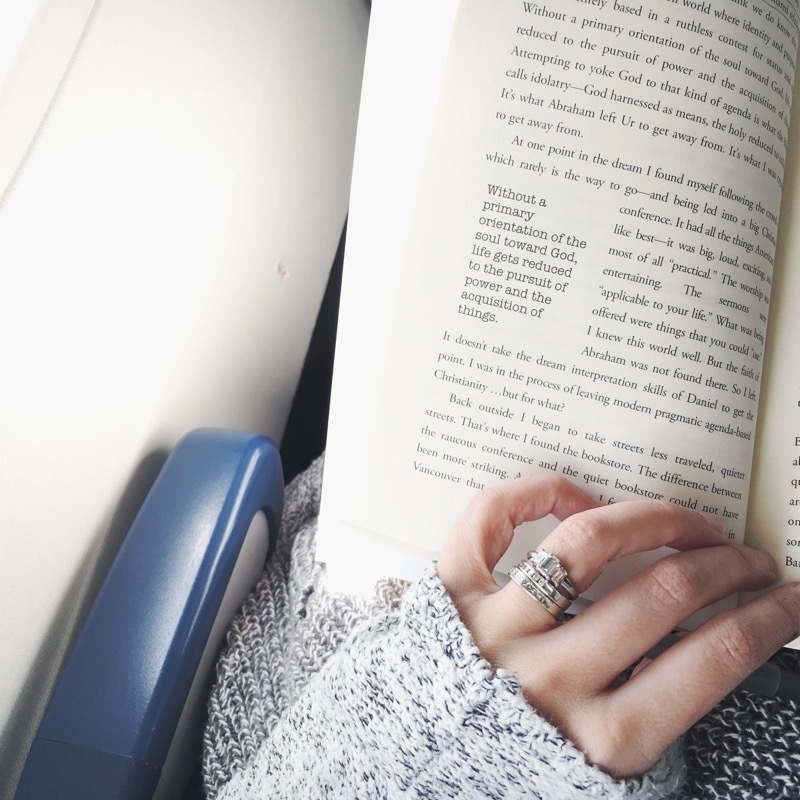 Maybe it’s because I read Emily’s post about her family’s vacation the other day or maybe it’s because I’m a writer, after all, and a blog is still the best place to practice writing and see what connects, if you ask me. It could also be that this week I’ve been combing through my iPhotos to delete duplicate, terrible, and oops images and in the process I watched my life scroll by in pixels and it reminded me of the old days of blogging where we shared the little things and the ridiculous things and sometimes the big things, too. My compulsion to write a personal blog post this morning could also be because of this: it’s the end of April and the twins are in 8th grade and their little brother is in 5th grade and that means in the next few months, we will be transitioning from elementary school to middle school for him and from middle school to high school for them and I’m starting to feel some kind of way about that. That was a four line run-on sentence and I don’t even care. I started this blog before our youngest was born and having him go into middle school in the fall, well. It’s enough to force a mama to write on a blog again is what I’m saying. So here I am and here you are and look at us! Writing and reading blogs still! Sometimes it’s good to do things just because you want to. To be clear, not writing as often in this space is not a strategic decision for me. It’s just been a natural evolution of life, of simpler platforms, of easier ways to communicate with you, and of time. Also, I’m in grad school, finishing up my second semester and preparing for summer term. Being a student again has a way of clearing the decks and honing in priorities, not to mention if I’m sitting down to write a thousand words, it’s going to be for a school assignment and not a blog post. By the way, because I know some of you will ask, I wrote about my school decision here: How I Made A Hard Decision. If you’re curious, I’m getting my Masters in Christian Spiritual Formation and Leadership and I’ll be finished with it next spring. So these are the days of required reading, of spiritual theology, of looking and re-looking at what I believe. 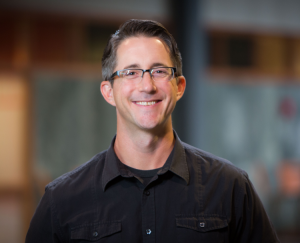 With each new chapter, lecture, and conversation, I am more curious, more in awe of the mystery, more grateful for our friend Jesus, and more convinced than ever that His kingdom is strong and unshakeable – to borrow the phrase from my friend and teacher James Bryan Smith. These are the days of teaching, encouraging, and co-leading a group of over 1,000 hope*writers in our membership community, a space we decided to make priority during the first quarter of 2018. We spent countless hours building and re-building that space that we’ve run for two years and now in what will be our third year, we’ve caught a fresh vision for how we want to serve our writers and how the whole thing fits into our own unique calling and, though it takes up more time than ever and is fast becoming a huge part of my job, I’m grateful everyday I get to do it. What a gift. 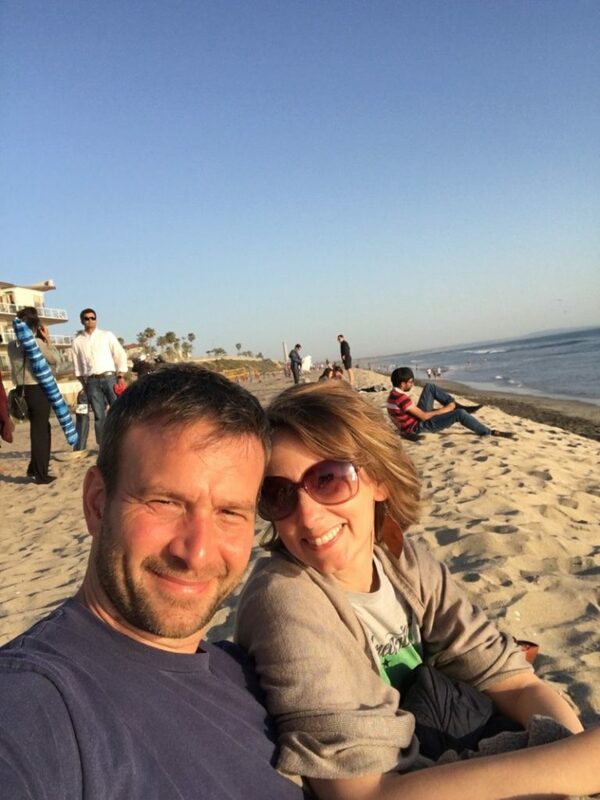 Last week I traveled with John to California to serve at our friend Jamin Goggin’s church. 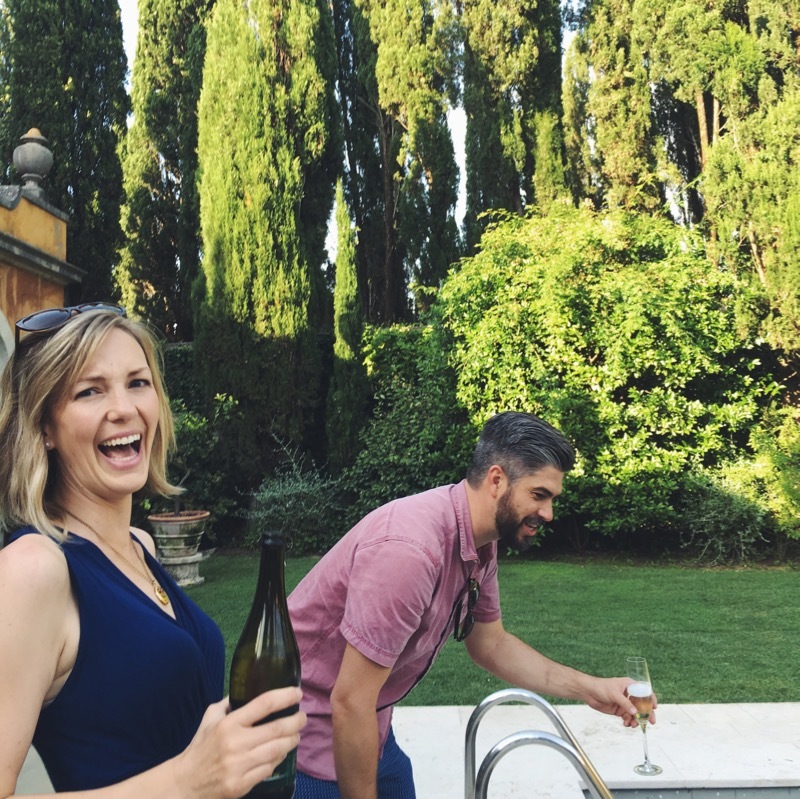 We met Jamin two years ago when we traveled to Italy for the Tuscany Writer’s Retreat and had a near instant connection. Here he is in one of my favorite photos from our week together, he and Jenni Burke (they led the trip together) serving the pool goers. Only in Italy. 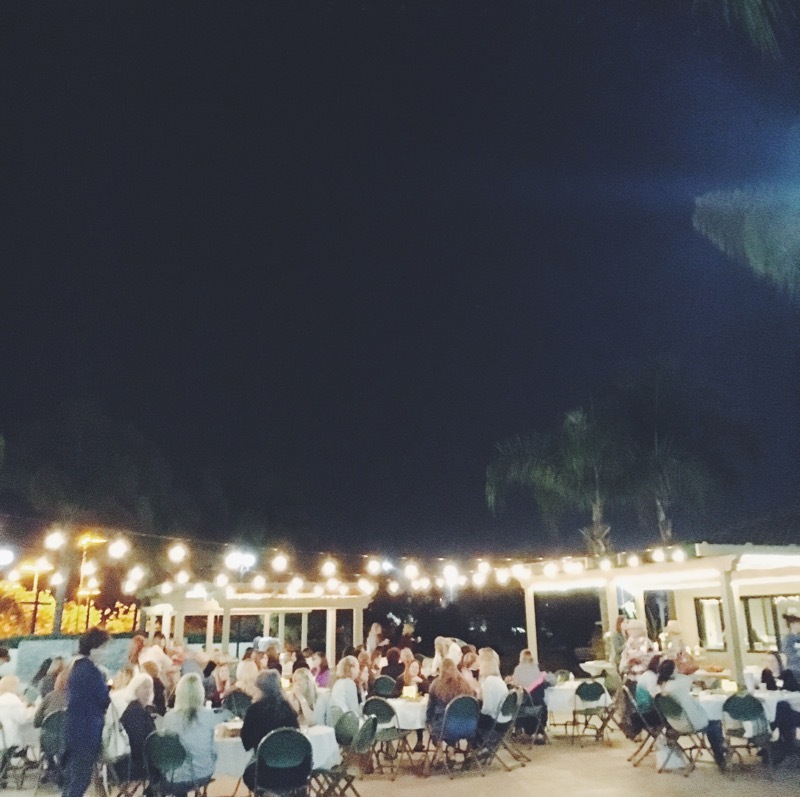 So we had a connection and because of that, he invited me to come serve the women at his church last week, to lead them in retreat which now ranks up there as one of my most favorite events I’ve been a part of in recent years. But my point is, several California hope*writers drove hours to come to this retreat simply because I was going to be there. I almost cried when I saw them – familiar, kind, writerly faces. These are my people and again, I’m grateful. And so these are the days of probably working a little too much, of watching Cedar Cove on Netflix because it’s non-threatening and doesn’t make me think too much, of discovering Louise Penny books and Chief Inspector Armand Gamache. These are the days of watching the new American Idol with the kids and remembering how much I love duets and seeing Katy Perry in a new kind of way that I like. These are the days of almost seventeen years of marriage to John and how is it possible that I still learn new things about him and just want to spend all the time with him still? After all these years? May that never change. These are also the days of discovering new apps for photos that help us time travel and manipulate space and erase the existence of people. For example, the photo above? Is a lie. The one below is the truth. Tell me you see the difference. The app is called Retouch and it has powers is what I’m saying. But back to the point. I have one. I think. With all the transition in this space over the last twelve years, a few things remain solid. I believe more than ever that I’m called to a ministry of listening which feels like a weird thing to say when I’m doing so much talking. But I continue to work to create space for your soul to breathe in whatever way will both serve you and sing well with my own current life stage. 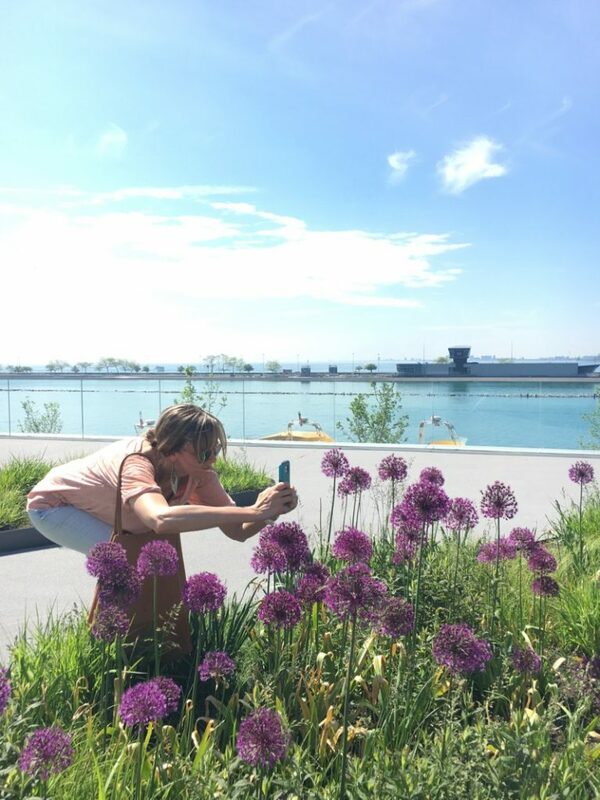 For now, I do that through The Next Right Thing Podcast, instagram (and stories! ), and my weekend email and monthly letter. I can’t say for sure how I’ll continue to do that in the future, but I can say I’m sticking around to find out. I still love talking with writers about writing. I still love writing words I can’t take back, discovering what I think about things by writing my way through it, and listening as a loving discipline for myself and others. This is turning into a list post, isn’t it? I didn’t mean for that to happen. I have to save some things for our What We Learned link up at the end of May. We still do that, by the way – share what we learned at the end of each quarter. Here’s what I learned in Winter 2018 if you missed it. List posts are my favorite. But that was not my intention here. Instead, it was simply to say hello, to document a few things happening these days, and to give myself permission to write on a whim without an agenda. Thank you for receiving the words and for always being a safe place to come back to. Would love to hear from you in the comments as proof that some people still read blogs! But listen, if you are a forever lurker and only comment on Instagram or just don’t like commenting in general because it’s a pain, I’m here for that, too. We’re running an introvert friendly gig over here, lurkers welcome, no need to raise your hand. If all you ever do is skim, nod, and go on your way, you’re always welcome back. However you show up, I’ll take it. Thanks for doing the same for me. P.S. Of course I still write regularly, just not always here. You can get my monthly letter by signing up below. I’m all about helping you create space for your soul to breathe, starting with your inbox. Over 42,000 people trust me with their email address. I will never send spam or photos of bare feet. You have my word on this. 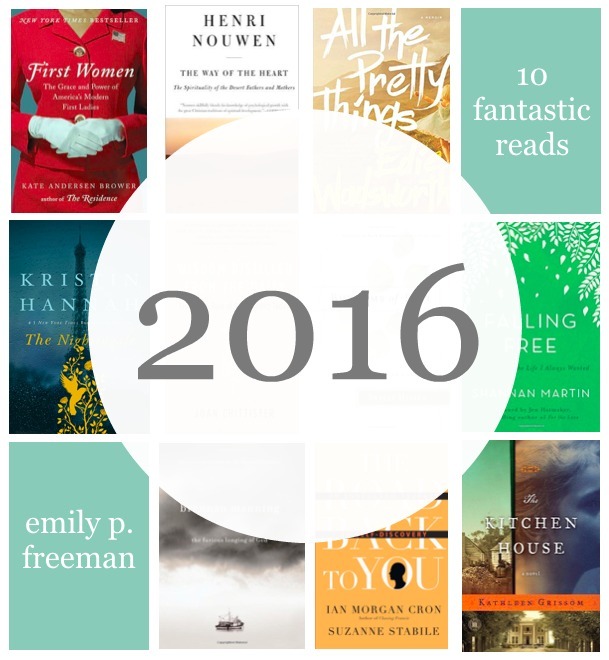 This is one of my favorite posts to write all year – the one where I share my favorite books! For the last several years, I’ve been writing down the titles of books I finish. Partial reads don’t go on the list and are not included here. This year, I finished 28 books. This is less than I planned (as always) but I did start quite a few I haven’t yet finished. Of the books I finished, I’ve chosen my top 10 favorites to share with you, as well as some honorable mentions at the end. I’ll list them here in no particular order. 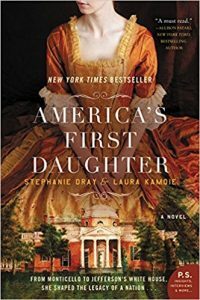 Why I loved it: It’s a well-researched, fascinating narrative of not only the Jefferson family but also the political and social climate of the time. I was also especially interested in the time period of the American Revolution since becoming slightly obsessed with the Hamilton soundtrack this year. (Sidenote: We saw it last week in New York and it was everything and amazing okay that’s all I’ll say about that now goodbye). 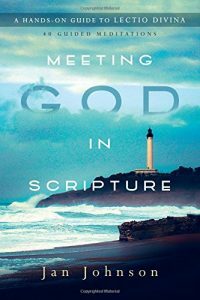 About the book: Jan Johnson offers forty Scripture meditations, organized topically, giving us the tools we need to practice lectio divina on our own. 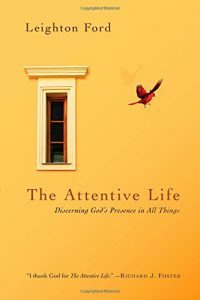 Why I loved it: In this collection of guided meditations for reading the Bible in a thoughtful more contemplative way, Johnson is a trustworthy guide. I’ve thoroughly enjoyed her questions, her encouragement to slow down, read multiple times, and to give time for personal response. It’s a great resource if you want to read the Bible with more intention but aren’t sure where to start. Why I loved it: I found myself whispering yes, yes! many times while reading this book. The way he strings together old truths in new ways continually surprised and challenged me to take my own long-held definition of spirituality and hold it out in the light to be questioned, re-shaped, and embraced anew. Why I loved it: I’m cheating a little here because this one doesn’t release until April 2018. The only reason I didn’t read it in one sitting was because I forced myself to slow down so it would last longer. It reads like a genuine invitation to walk forward in our own lives without shame or regret. 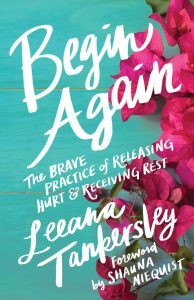 Leeana’s words held space for me in areas of my life where I feel stuck, overcome, or undone. I want to give this tender, powerful book to every woman in my life. Do your future self a favor and pre-order it now. Why I loved it: If you can only read one book on Christian leadership book your whole life, read this one. I’ve read it several times now and it remains one of my favorites. 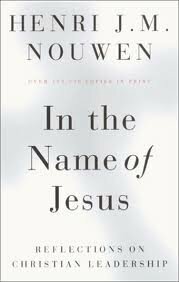 Unassuming with it’s mere 100 pages or so, this thin book is packed with wisdom as Nouwen walks through the three desert temptations of Jesus and applies them to our lives as leaders with an accuracy that is both stunning and humbling. 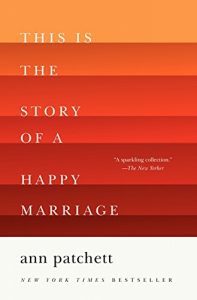 Why I loved it: This is not a book about marriage. Just wanted to clear that up. It’s just great writing, interesting angles, and stories from Ann’s life. While she does have a few essays about marriage, the writing also covers her writing career, the convocation speech she gave at Clemson with parent protestors outside the door, and the summer she tried out (auditioned? interviewed?) for the LAPD. 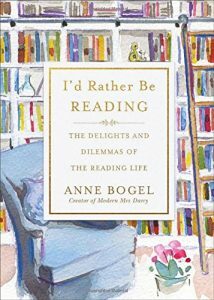 I appreciated the essay style of this book – each one standing apart from the others while, at the same time, related in that they are all part of Ann Patchett’s life. Why I loved it: In keeping with my continued quest to learn all I can about smallness, the lure of success, and the often despised way of downward mobility, this book was a must read. It took me a while to finish – I’m slow and it’s a thick book. But this one has burrowed it’s way into my soul and informed my life more than any other fiction book I’ve read in years. Hannah Coulter is next on my list. Why I loved it: Tsh is a real-life friend who I simply adore, but that is not why her book is on my list of favorites. Instead, it’s because she’s the only person I know who can write about traveling the world with her family and make it sound not only normal, but cozy. 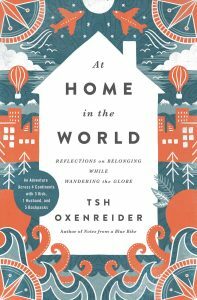 Beautifully written, this one offers clarifying reminders of what it means to belong and be well no matter where we are. Why I loved it: First, I loved this book because Leighton Ford is an unlikely contemplative. As Billy Graham’s brother-in-law, he worked in the spotlight of the evangelical world for many years. While his voice remains solidly protestant, his words sing well with those of the Trappist monks who influenced his own walk with God. 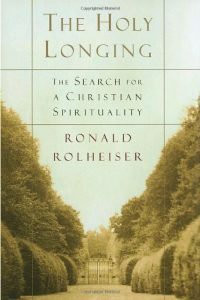 Second, I loved this book because as I read it, he felt like a kind companion for my spiritual journey. Many authors strive to strike that delicate note but few do it as well as Leighton Ford in this book. 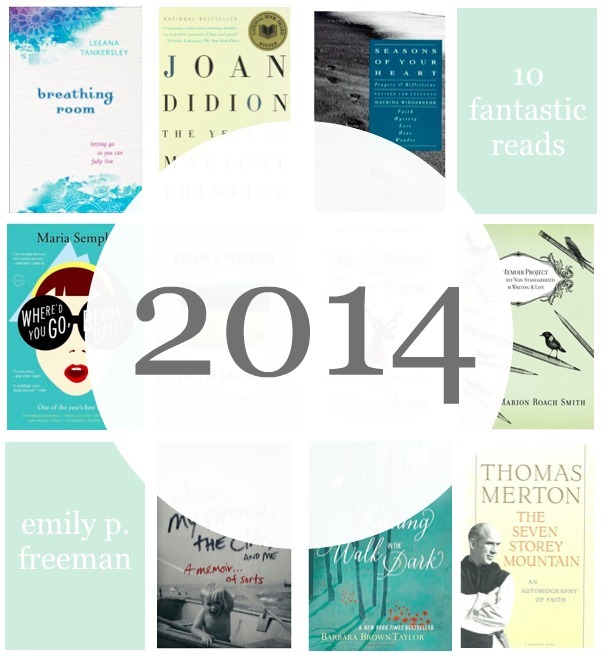 Why I loved it: If you’re sensing a theme among my favorite books of the year, you would be right. 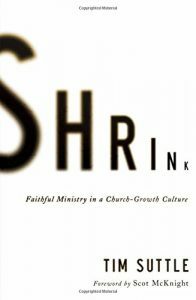 I winced a few times reading this book as Tim Suttle is not shy about pointing a strong, accusatory finger at the American mega church, citing an obsession with growth and a definition of “great” that runs antithetical to that of the Kingdom of God. 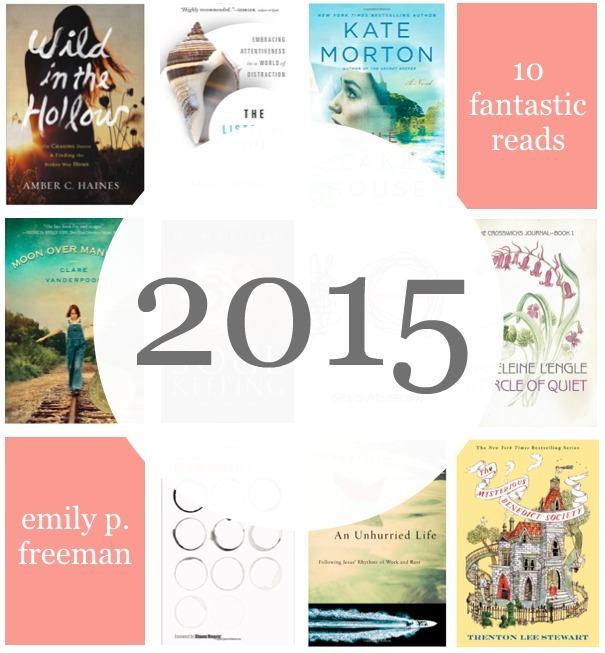 So there you have it – my 10 favorite reads of the year. 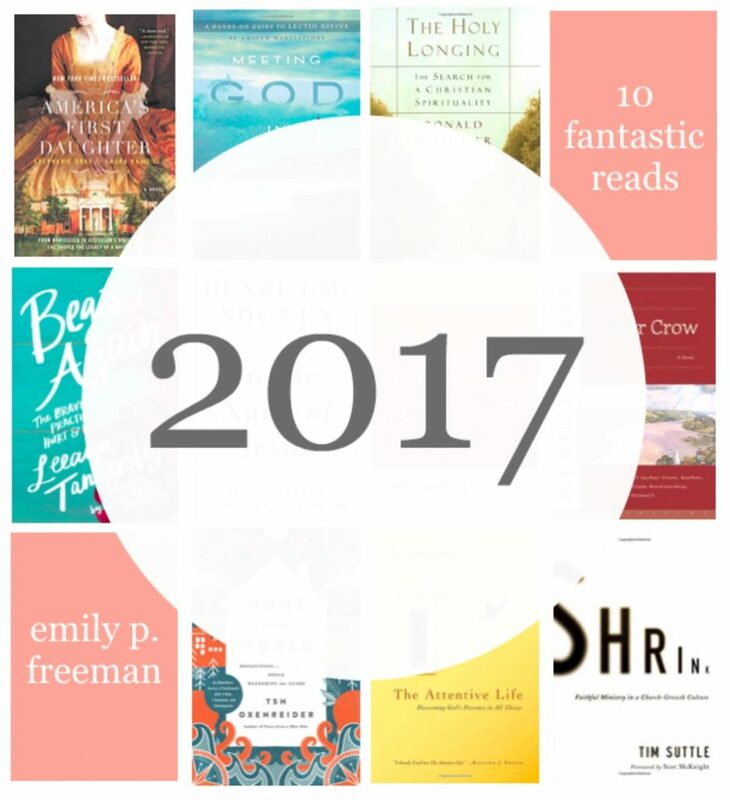 As you make your own lists of books to read in the coming year, perhaps you’ll add a few of my favorites into the mix. To give you more to choose from, I’ll include my 10 favorite books from the past three years below. 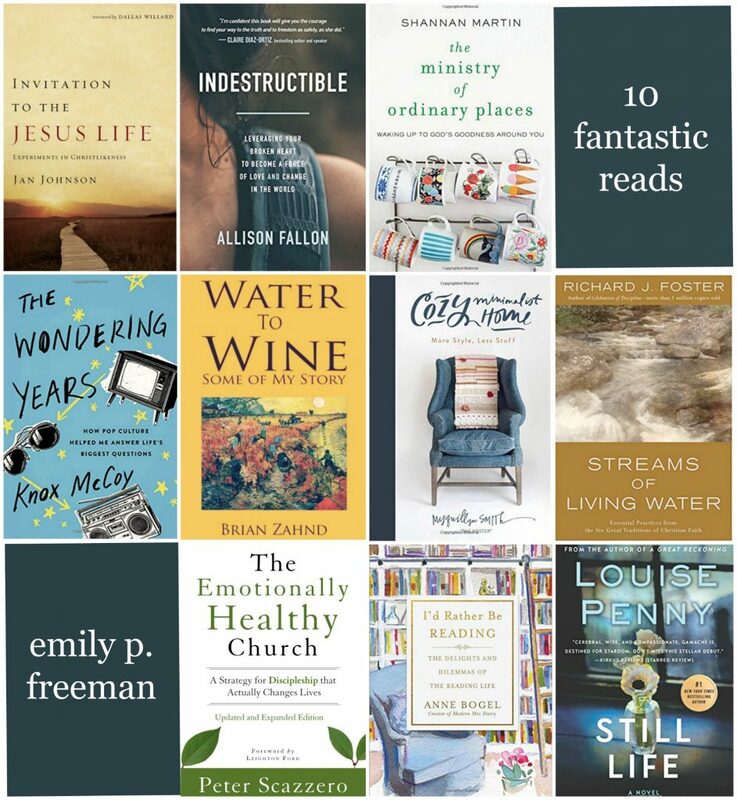 I definitely have preferred genres if you haven’t already noticed: Memoir, Christian Living/Spiritual Growth, and Fiction with an occasional book on writing, creativity, and/or productivity thrown in as well. If you would like to receive a monthly list of the books I’m reading, enter your name below and you’ll receive my most recent letter on the last day of every month. A year ago at this time I had never heard of Casey Tygrett. Now he is one of my new favorite authors. His words in his newest book, Becoming Curious, came at just the right time for me. If you are surrounded by people who don’t let questions linger in the air too long before they feel compelled to answer them, Casey’s words will be an anthem of hope for you, too. Grateful to introduce you to him here today. I remember sitting in a night class, shoulders rounded, eyes heavy, crafting schemes to stay awake for the remainder of the time. The most nauseating method I had was to make a pot of coffee in the morning and let it sit all day, then pour equal parts cold coffee and Mountain Dew into a travel mug and hope for the best. It was a long semester. As I sat in that particular class, a handout landed on my desk. The first line caught and held me. In front of me, in my caffeinated haze, I saw a new question emerging. The question would move from the simulated adulthood of my college years to the grittier realities of family and work today. What I recognize now is this: A job – your profit-making, mortgage-paying work – is good and necessary. You need to eat. You need to pay the bills. You need to wear clothes. Those are sorted and set aside. 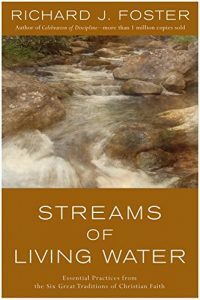 What I heard then – and what I hear now – in the first line to Oriah Mountain Dreamer’s epic poem was a deeper vein of gold running below the surface, below the obvious. To that point my whole life and faith had been wrapped up in definite answers and facts. God is holy. You are not. So fix it. In this line of thinking, aches and longings were actually part of the problem and needed to be solved rather than hopes and possibilities in need of exploration. Here was a Bible college professor placing an idea in our minds that was quick and clean like lightning and just as explosive. 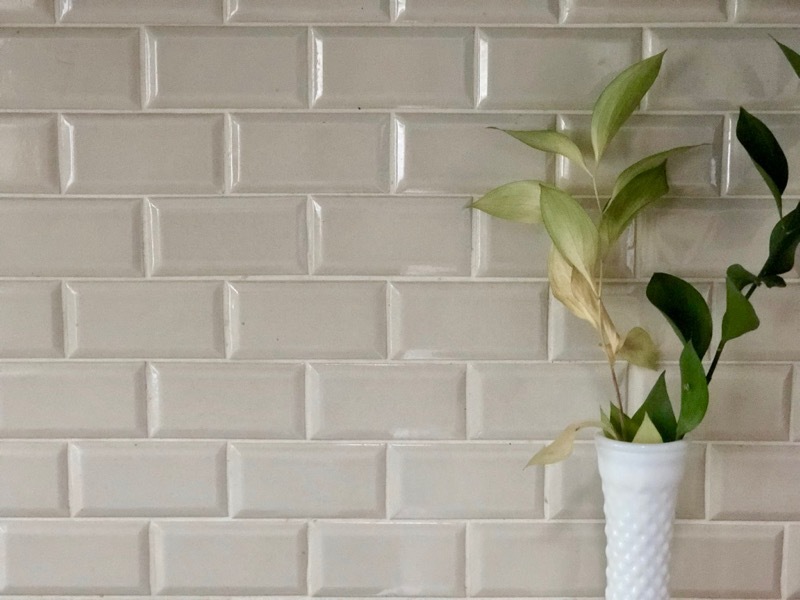 What if, in the context of life and faith there was a space – a light and tidy space – to explore the aches and longings within us? The ache of that dating relationship that isn’t what we had hoped or prayed for but we stay in it because we truly love that person. The ache of that job, the drain and the strain of it, and the paradoxical joy that comes when the job allows us to live out our passion. The ache of moving from one spiritual tradition or set of beliefs and understandings about God to another and the hard conversations with those who remain in the country we are leaving behind. The ache of why she left and now I am raising a family on my own. The aches of watching injustices accumulate like Michigan snow. The longing to see beauty instead of only bland usefulness. The longing to know something good that transcends the clock and moves into time that’s outside of time. The longing not to simply work, but to create and bring beauty into the world with intensity and courage that surprises everyone – including ourselves. The longing to let simple things like washing dishes, paying bills, and attending meetings become moments of wonder and miracle. The ache and longing of being a caregiver to an ailing parent or partner, wanting what is best for that person in whatever shape and form they may require. What do you ache for today? What are you willing to do in order to find it? What might God be welcoming you to explore, question, analyze, and re-envision in order to pour out those deep pings of your spirit in front of Him and onto your world? Class ended and I took up my things: the mug with the half-ingested caffeine syrup and the poem that shifted my plane of vision. Some years later, I look up from my desk. I see the poem tacked up on my bulletin board in an office where I hear from people whose expectations have been disappointed, teenagers who want to know that they’re valued and beautiful because they’ve heard a different story all of their lives, and marriages where what was attraction and mystery has faded to common space and quiet rejection. So I ask the question: what do you ache for? What if faith, God, and prayer are all about exploring those things? 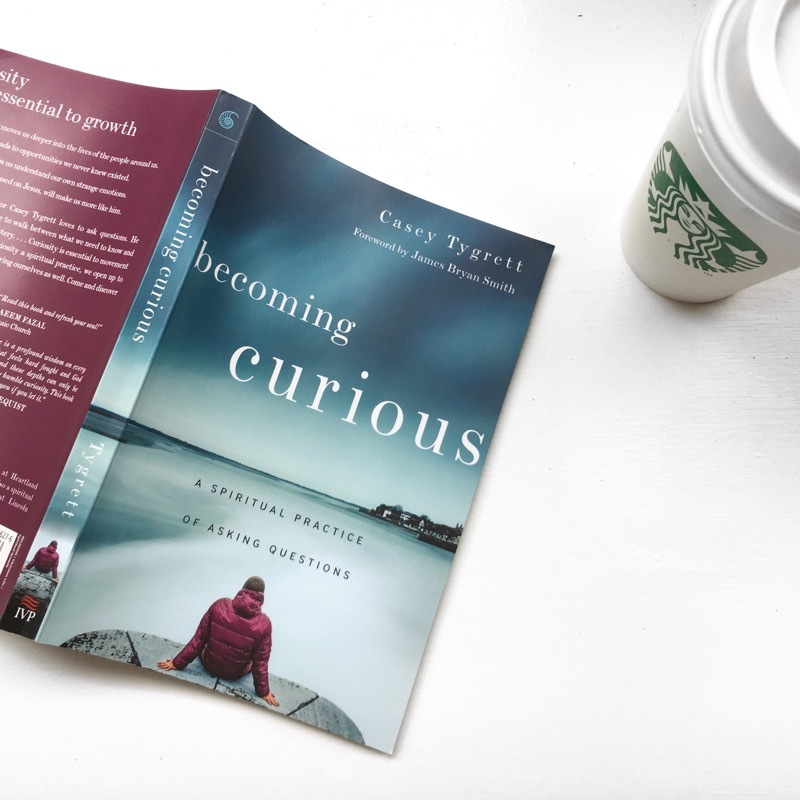 What if the crisis in which we live is less about capturing the right answer and pacifying our image of God and more about learning to ask the questions that are already deep within? We talk and I sip my tea. A new story starts to unfold. Casey Tygrett is a pastor, writer and spiritual director living in Rockford, Illinois. His first book, Becoming Curious: A Spiritual Practice of Asking Questions is available now. Don’t leave without getting what you need. Sign up here to receive my weekly Saturday morning email, a mercifully short list of good things to read, watch, and listen to.